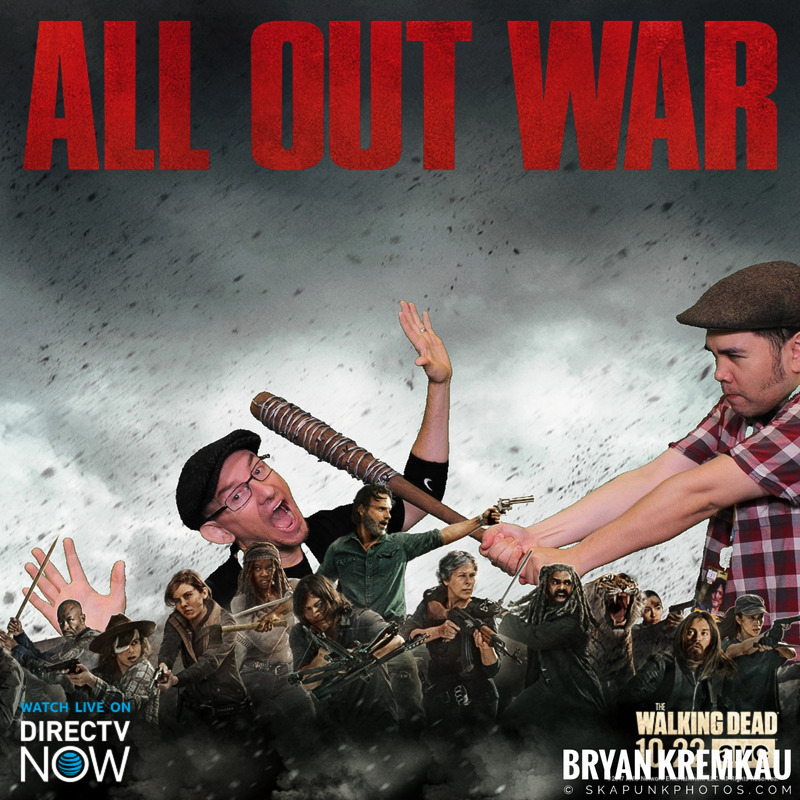 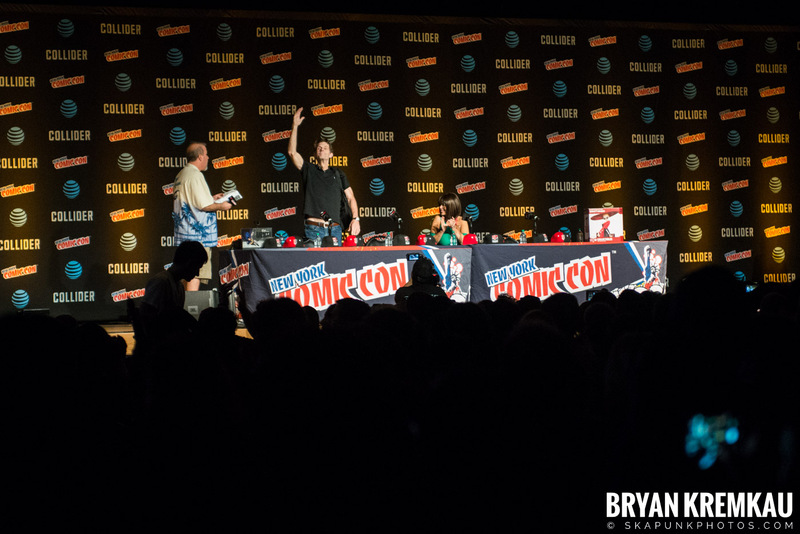 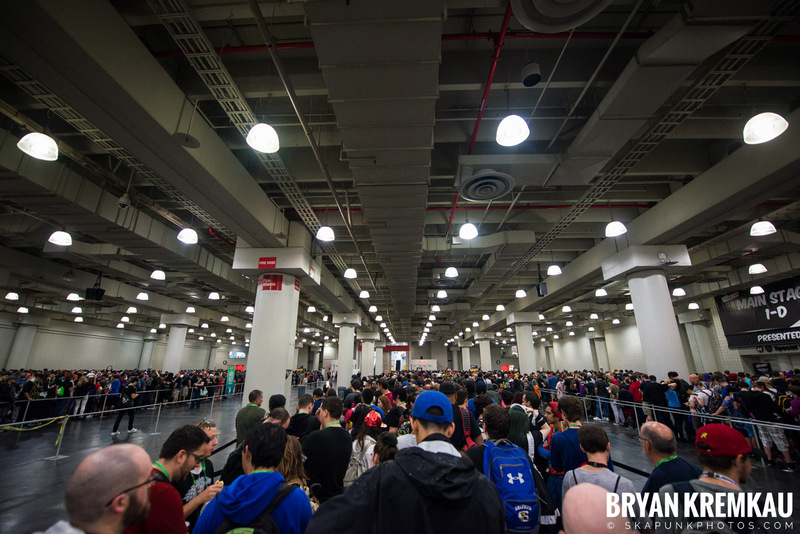 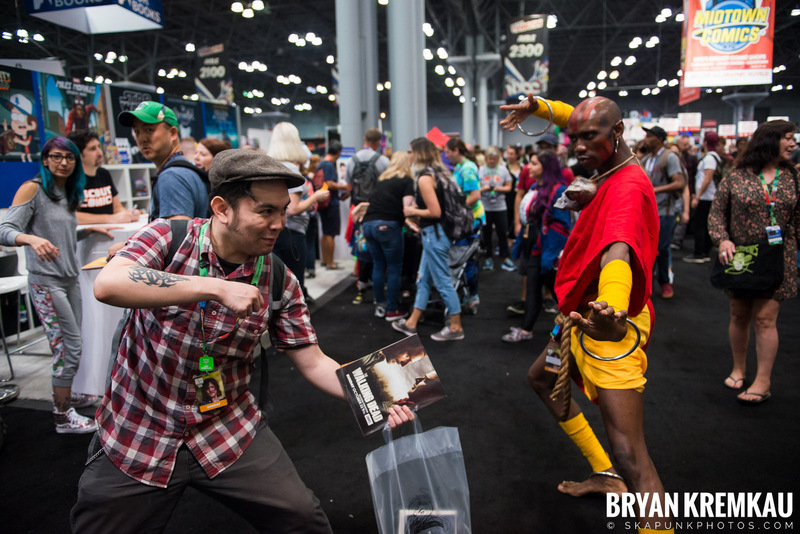 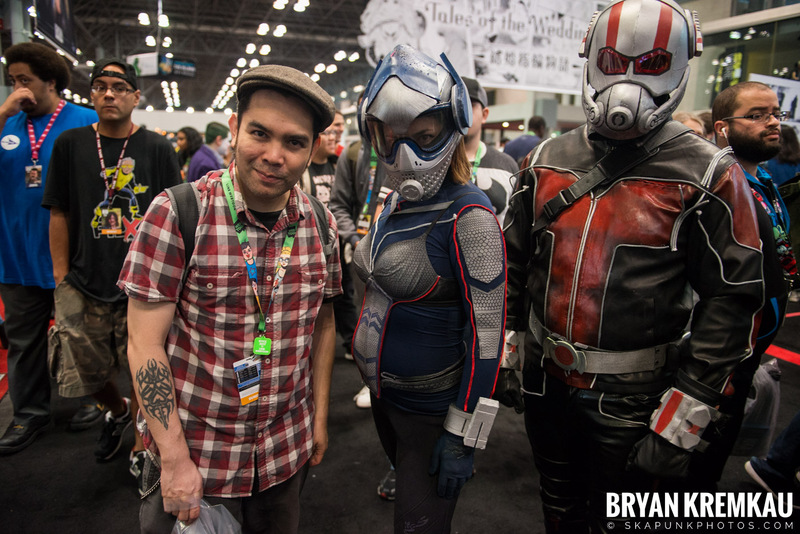 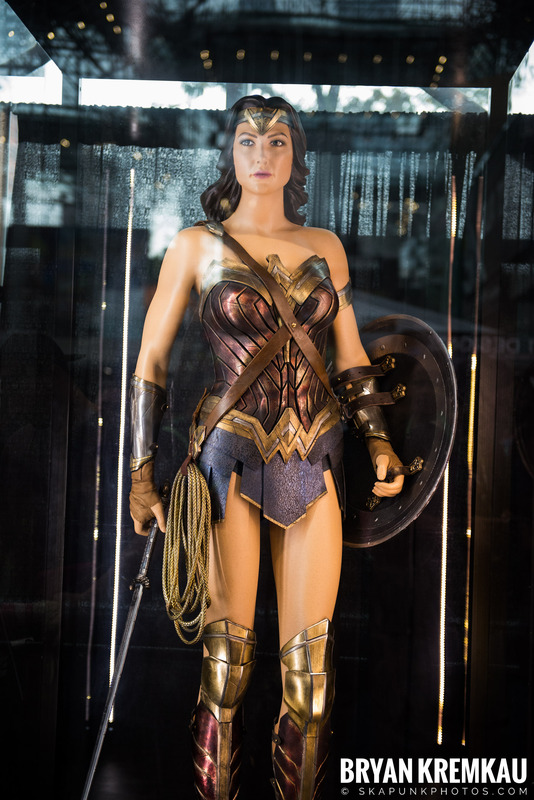 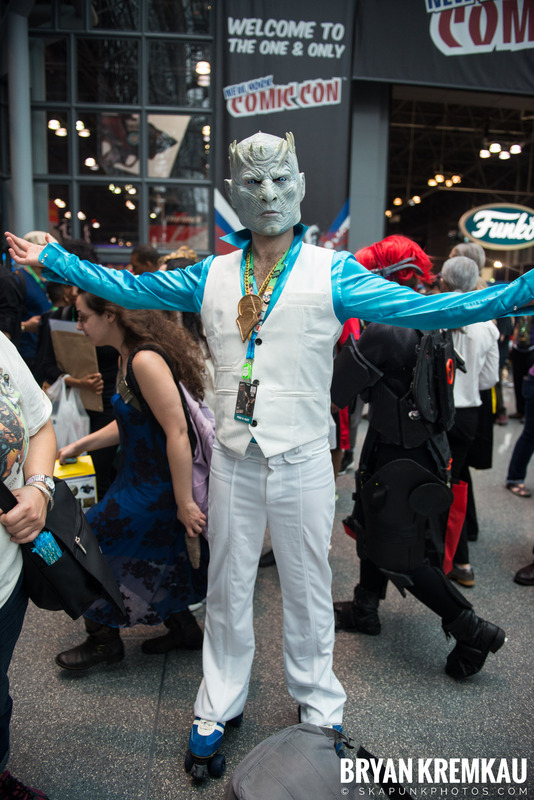 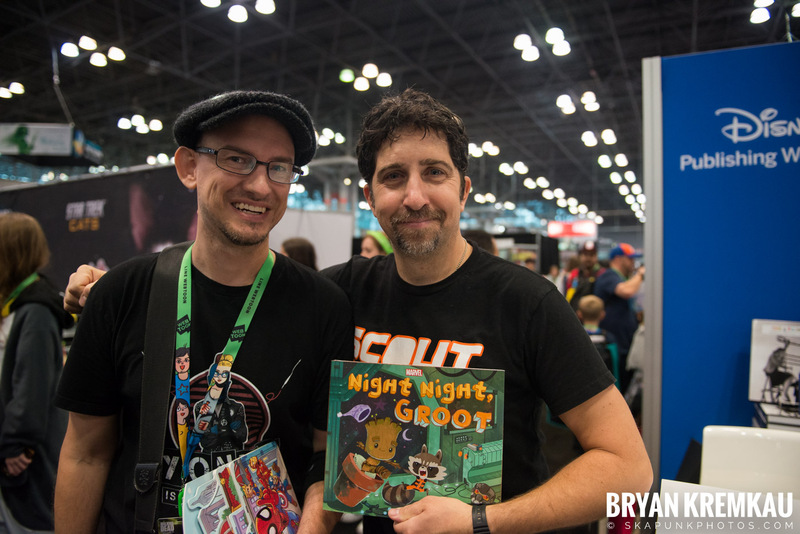 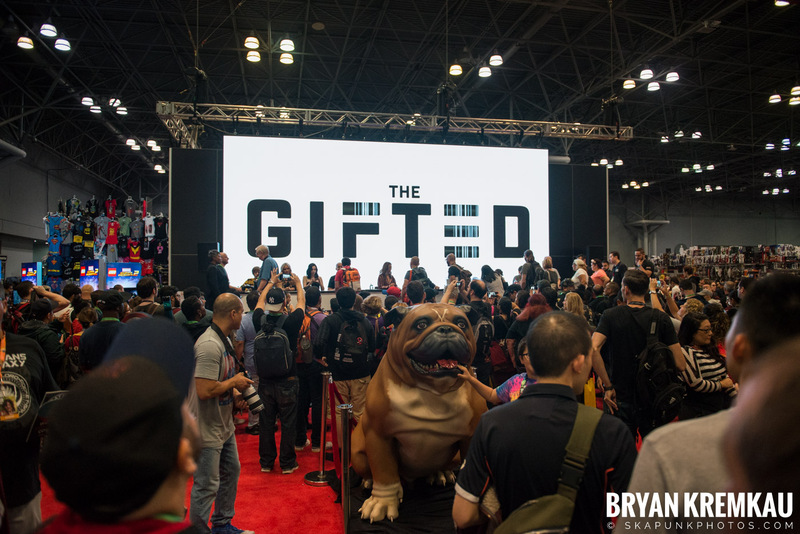 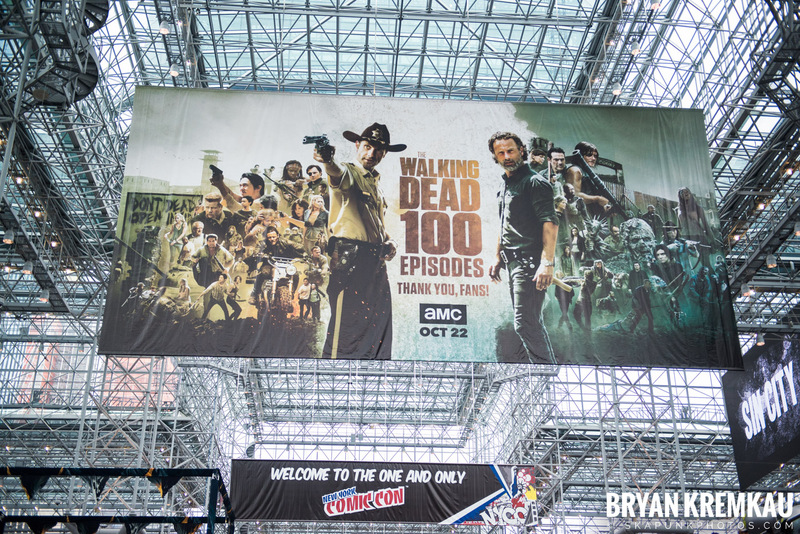 My final day at New York Comic Con was on Sunday October 8th. 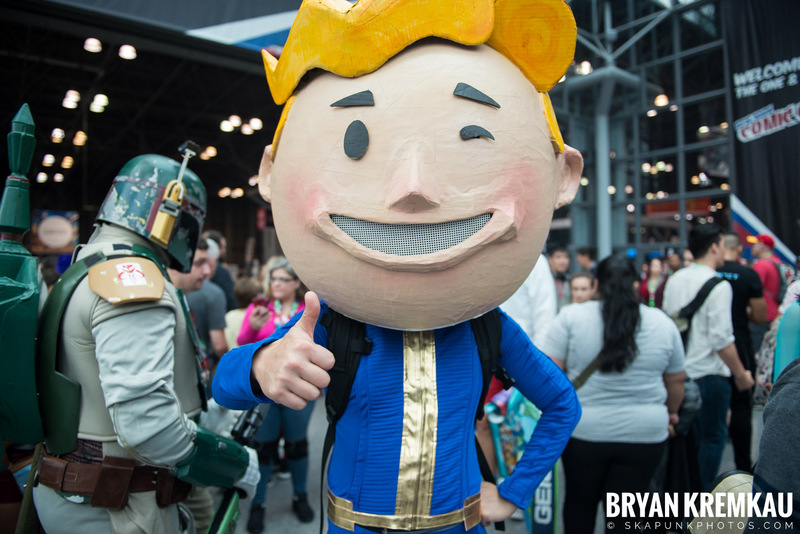 I recapped the day over at ReadJunk.com. 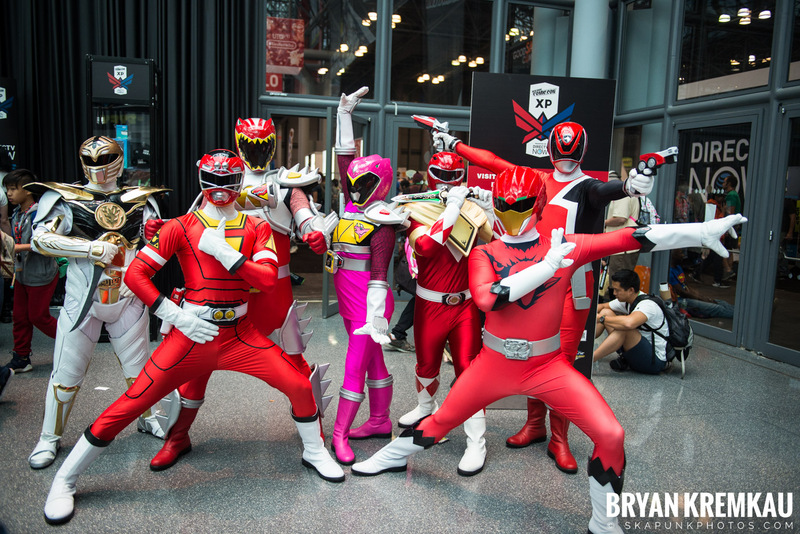 This was the day I wanted to get as much cosplay photos as I can. 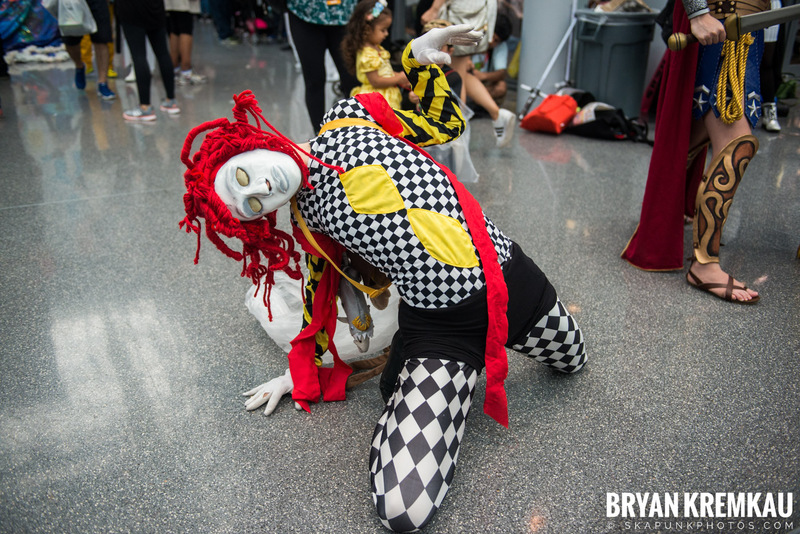 I felt like I didn’t get as much photos as I could the last 2 days I went, but did get a few more. 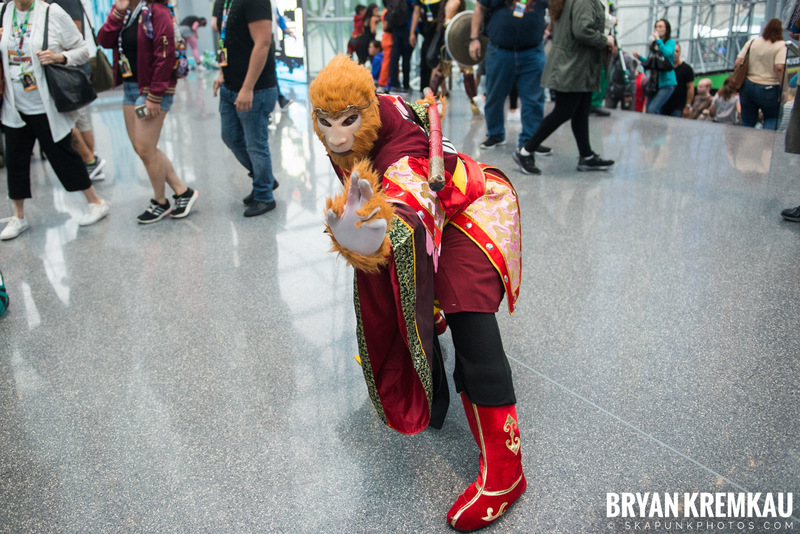 I still feel like I could have gotten more but I find it hard going up to some people and asking or it’s in a bad spot where it could create gridlock on the floor. 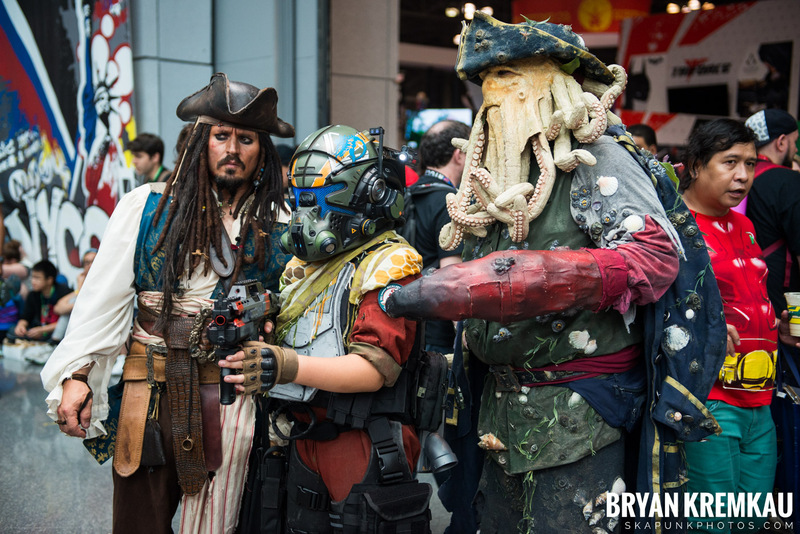 The Captain Jack Sparrow cosplayer was incredible. 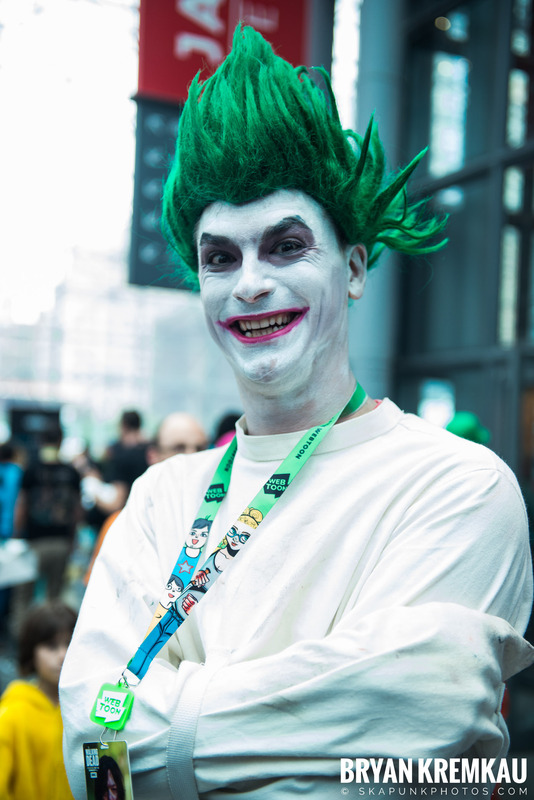 I swear he’s a professional and goes to every Con as Jack. 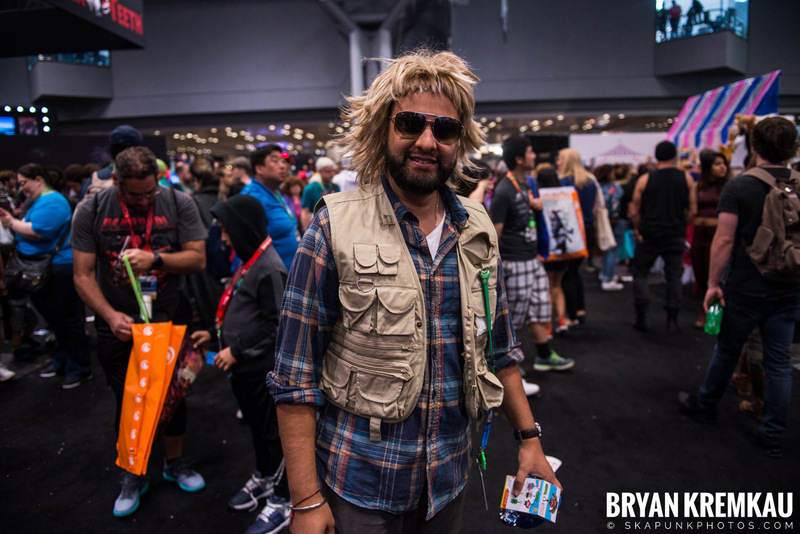 He talks like him and has all the mannerisms. 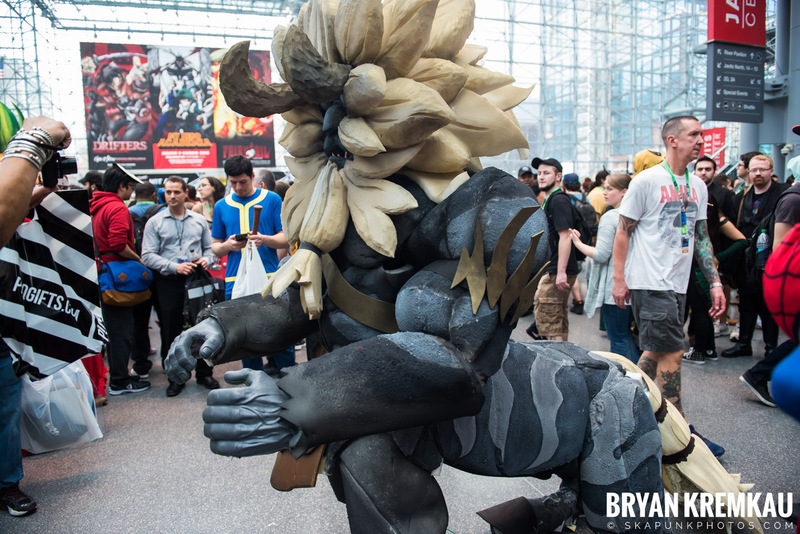 There was this big lion looking thing, I think from a video game that was impressive as well. 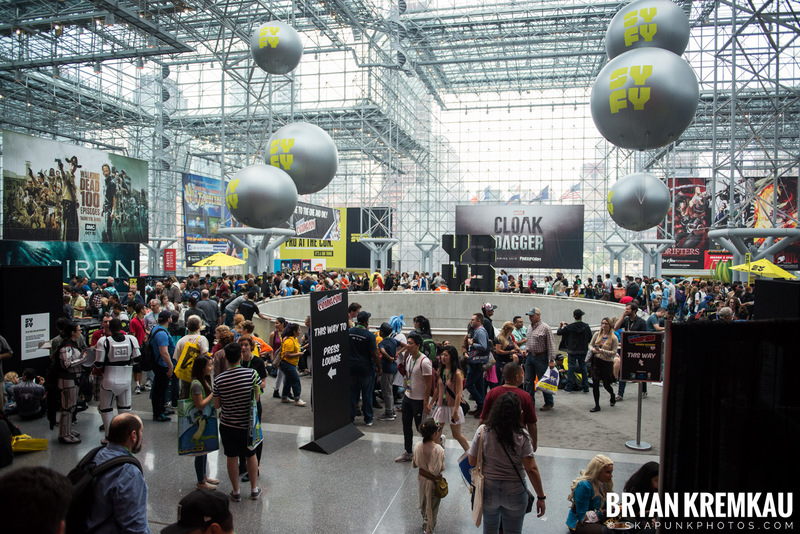 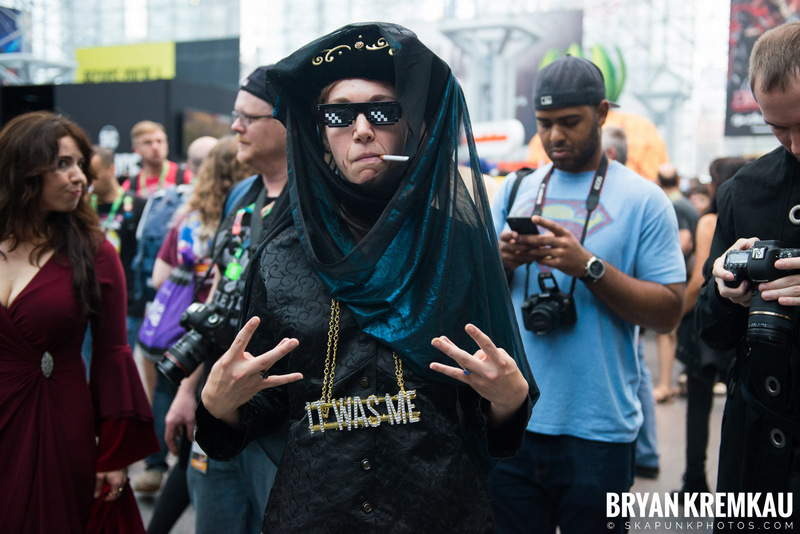 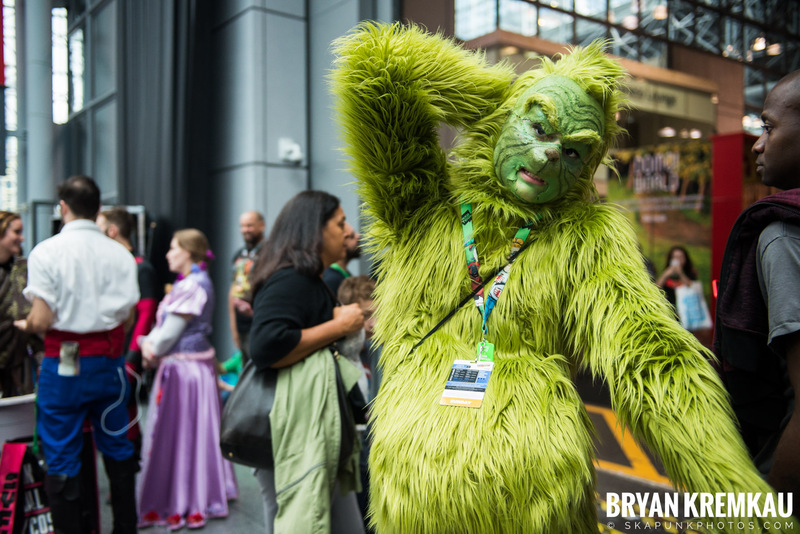 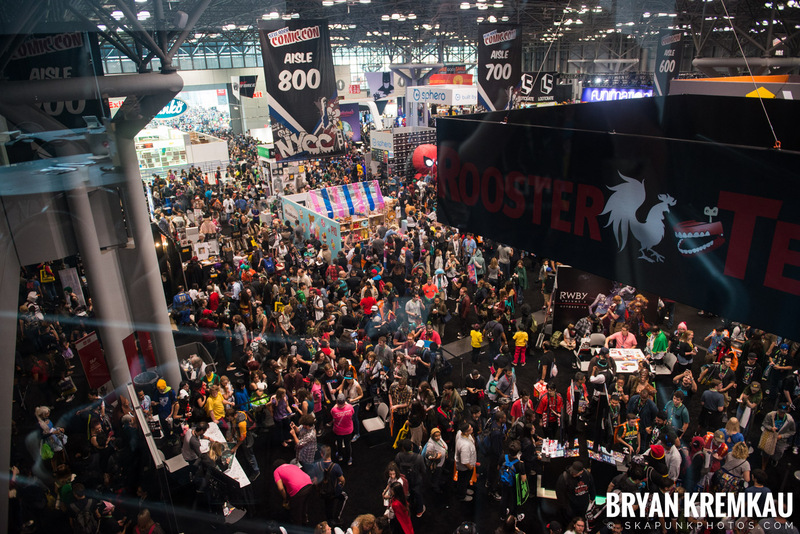 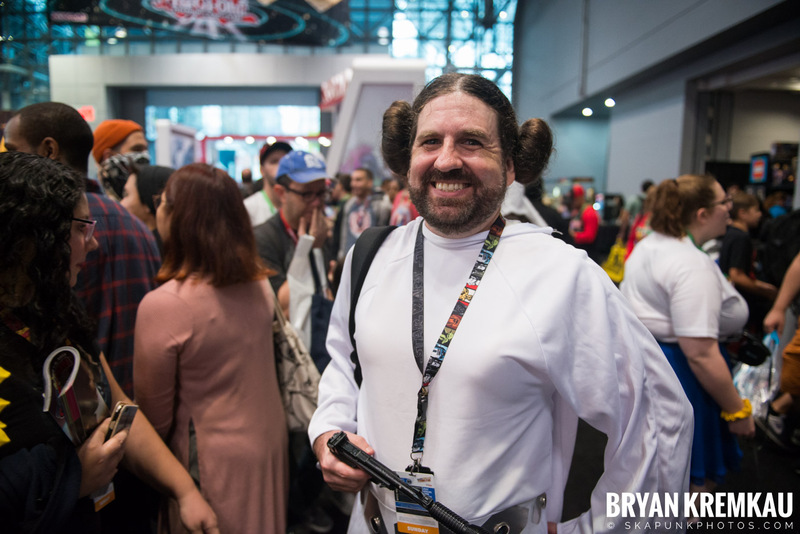 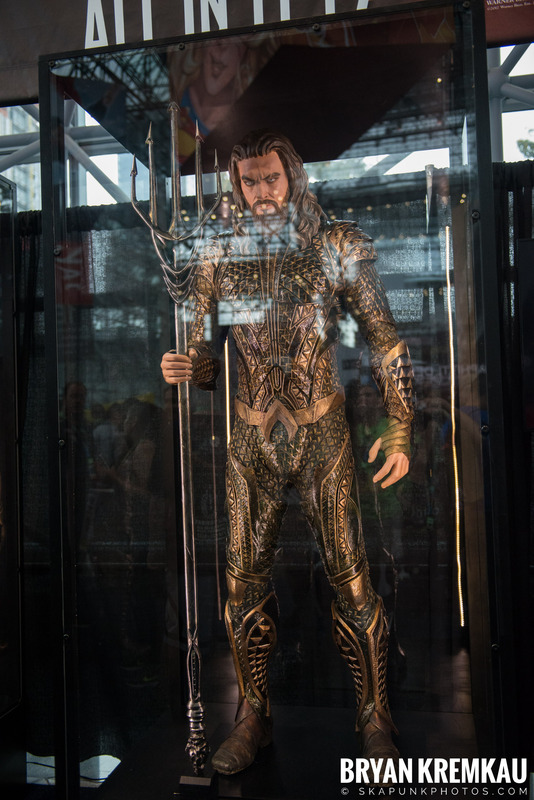 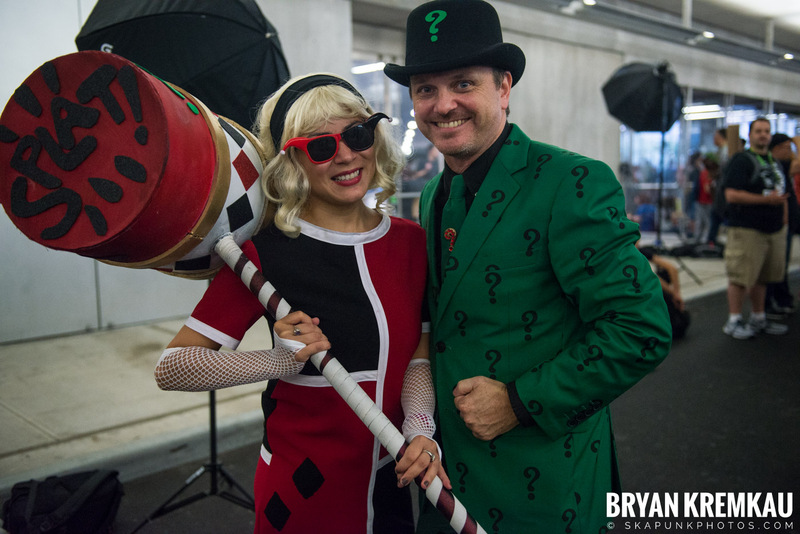 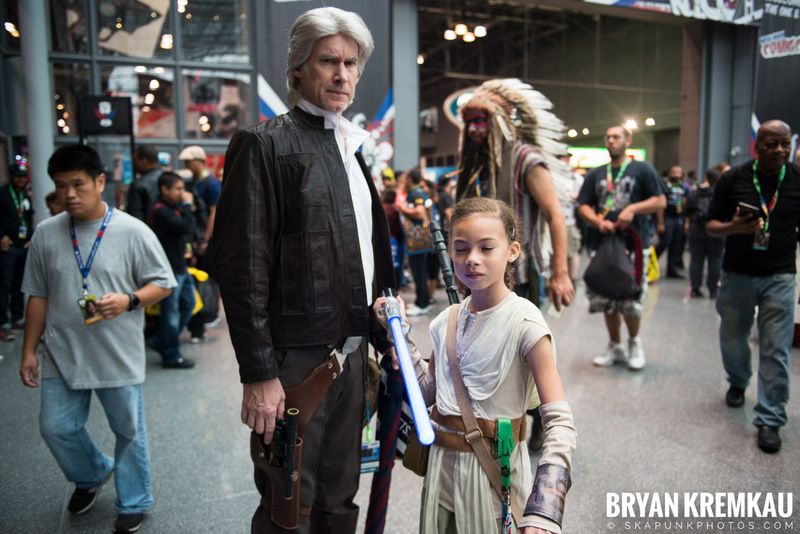 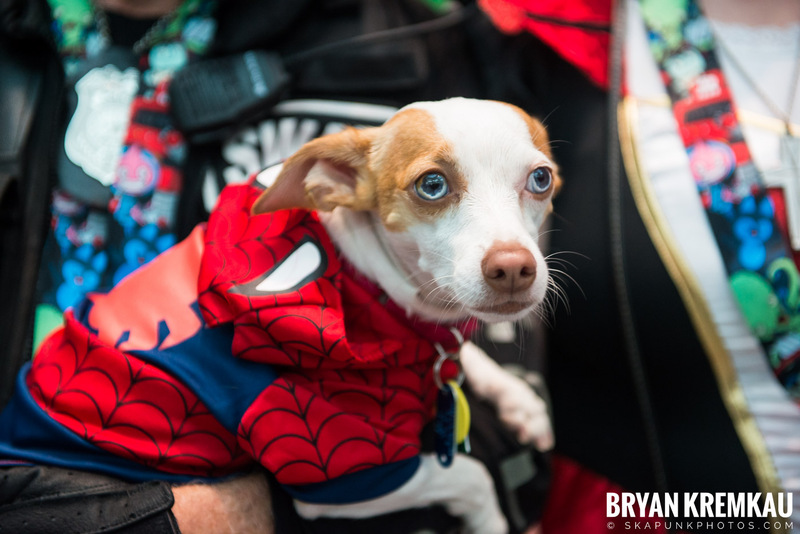 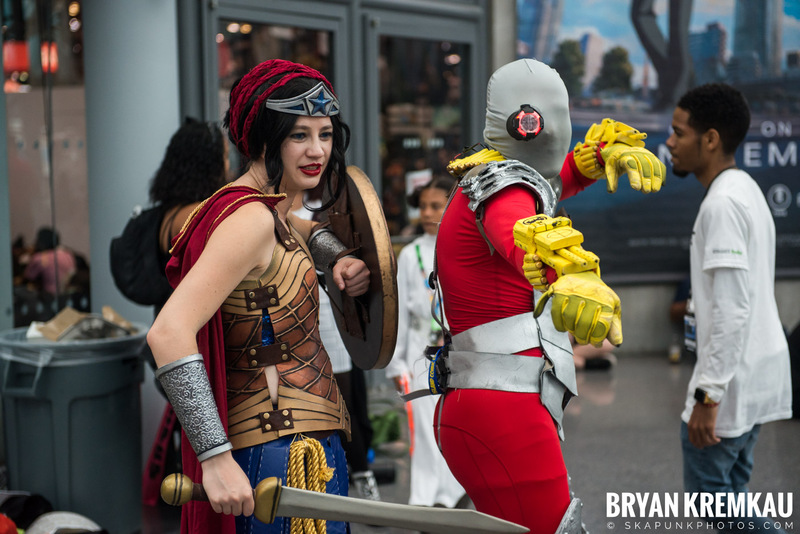 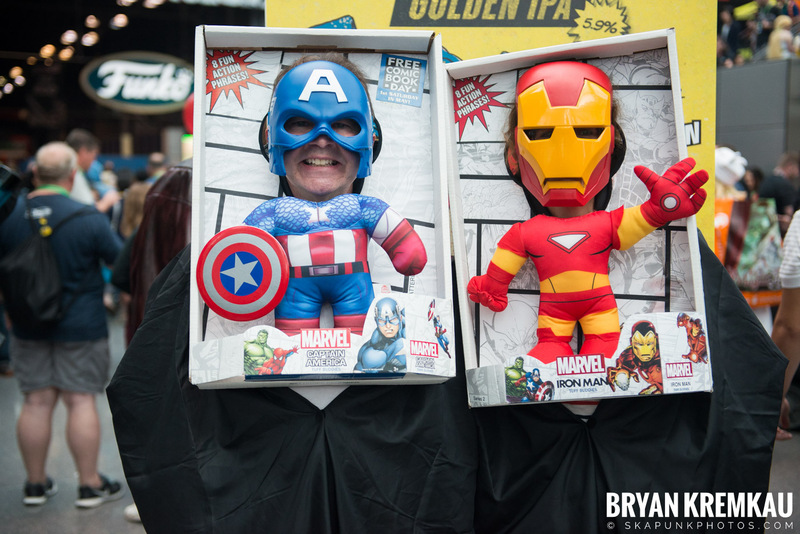 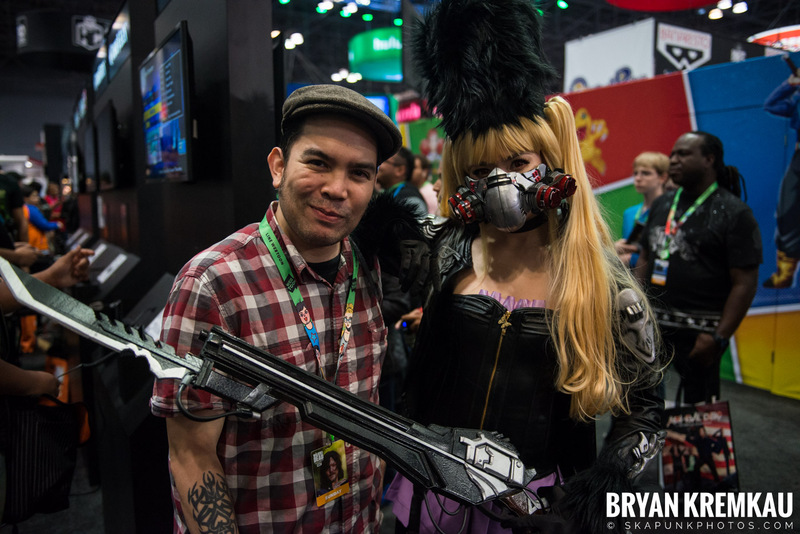 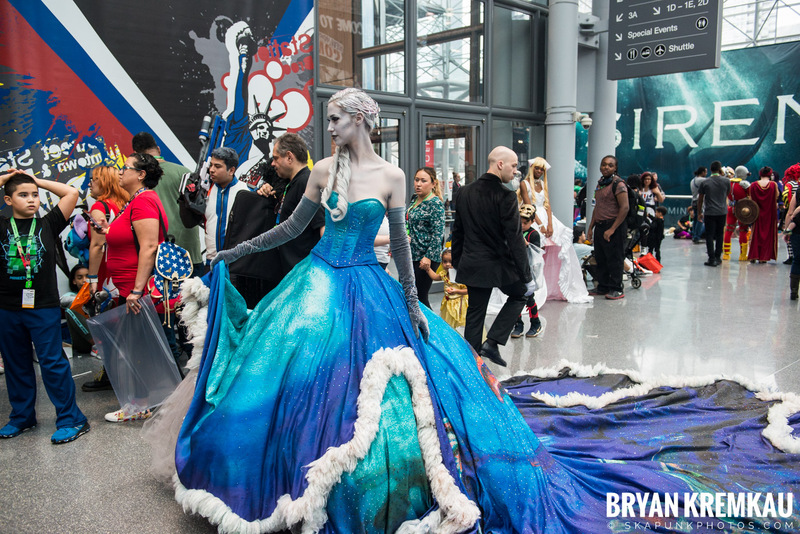 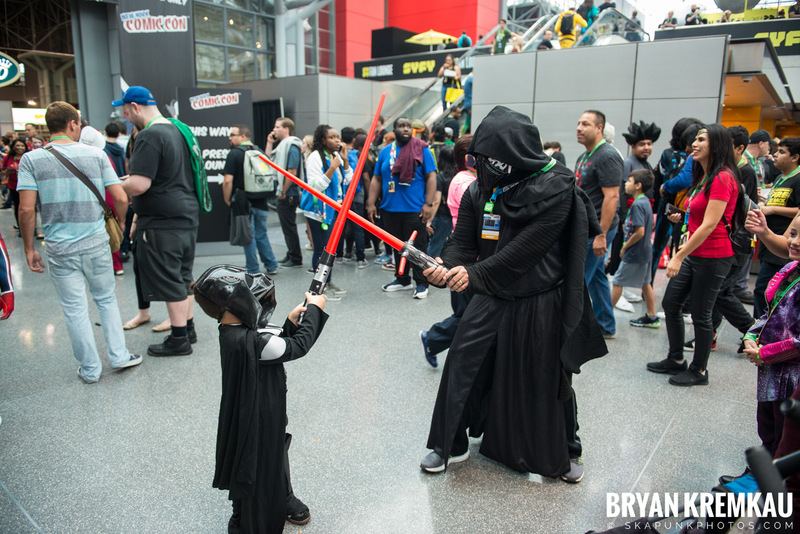 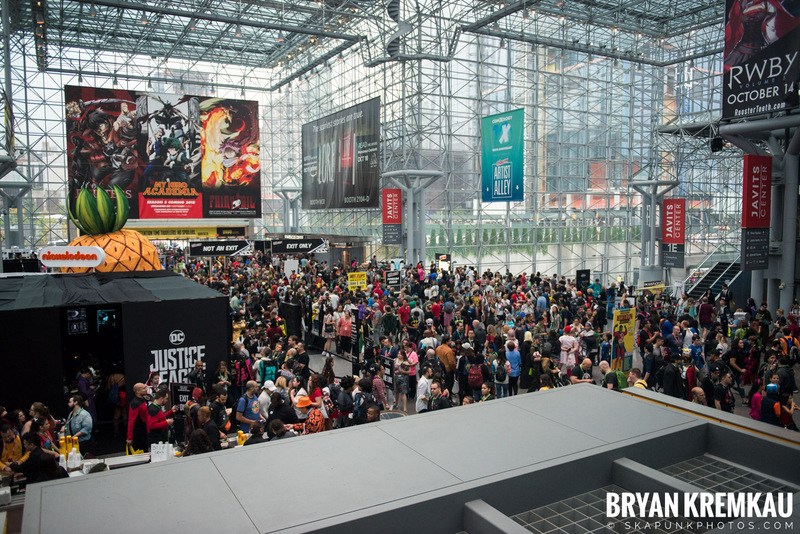 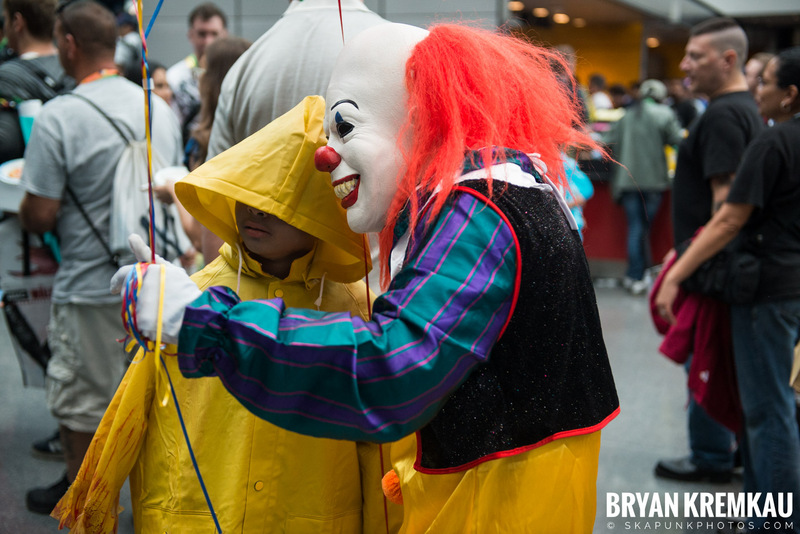 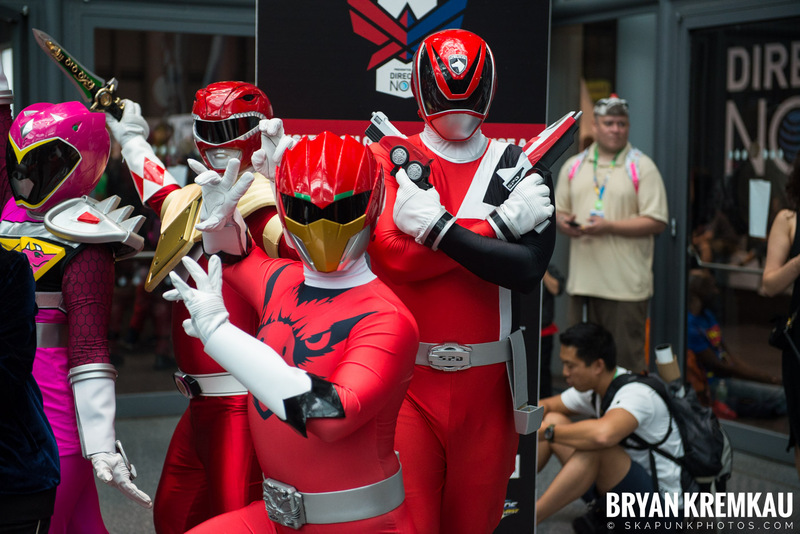 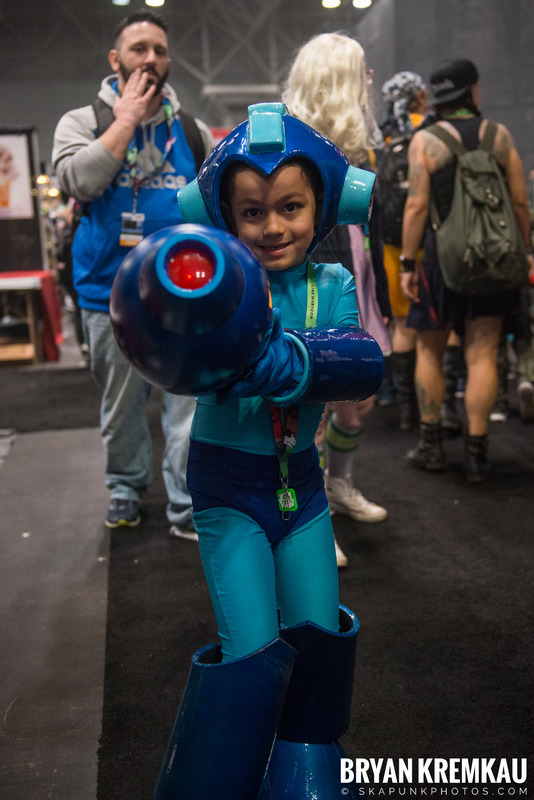 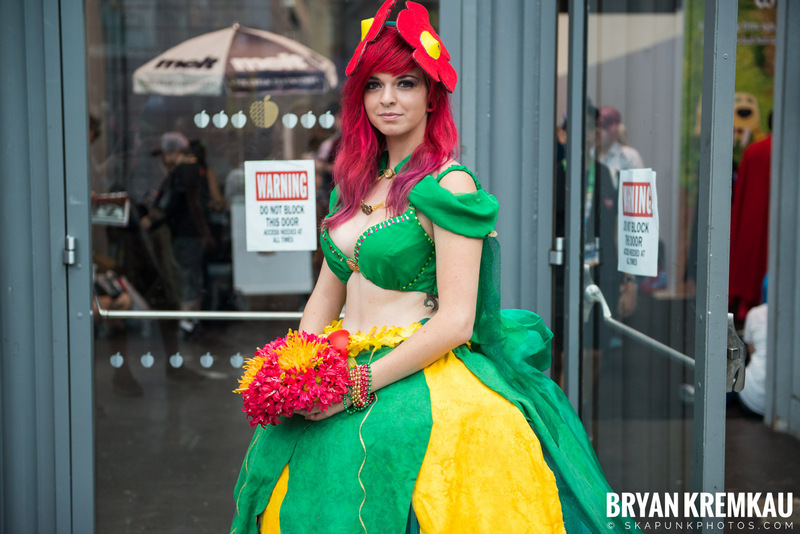 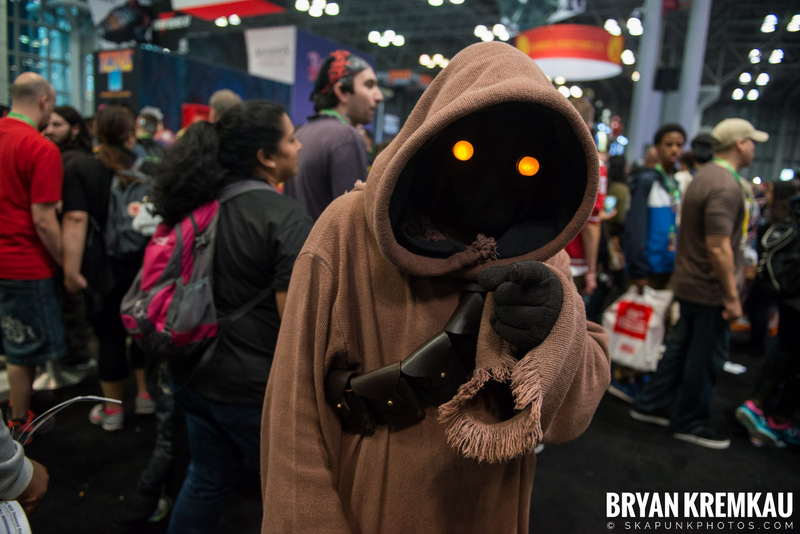 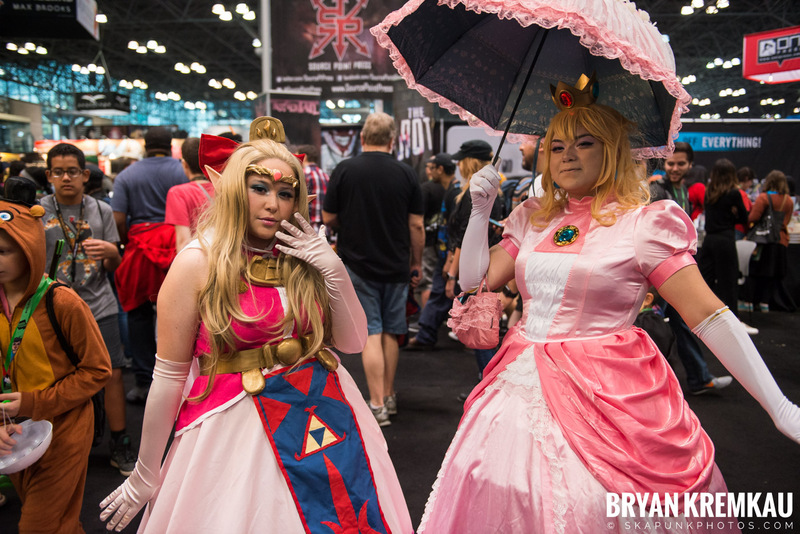 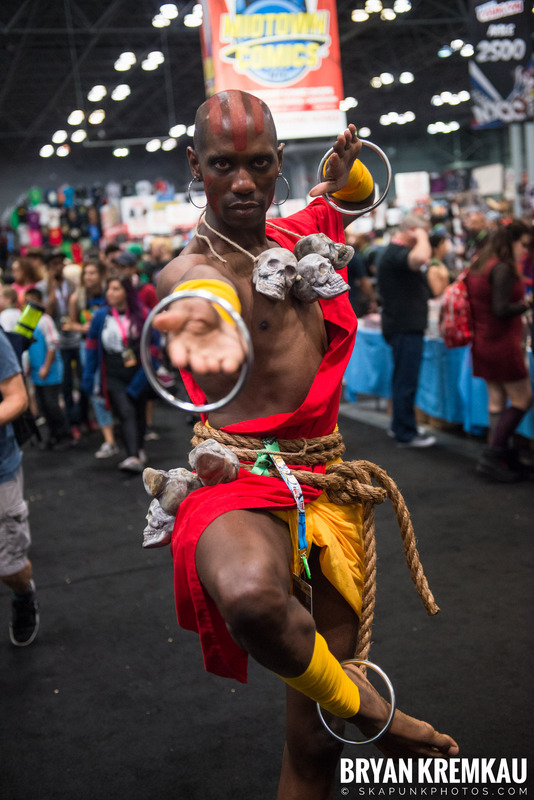 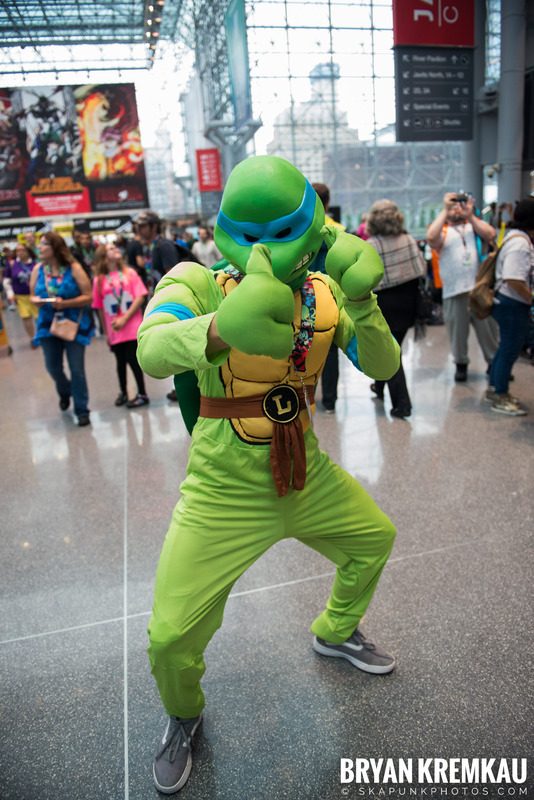 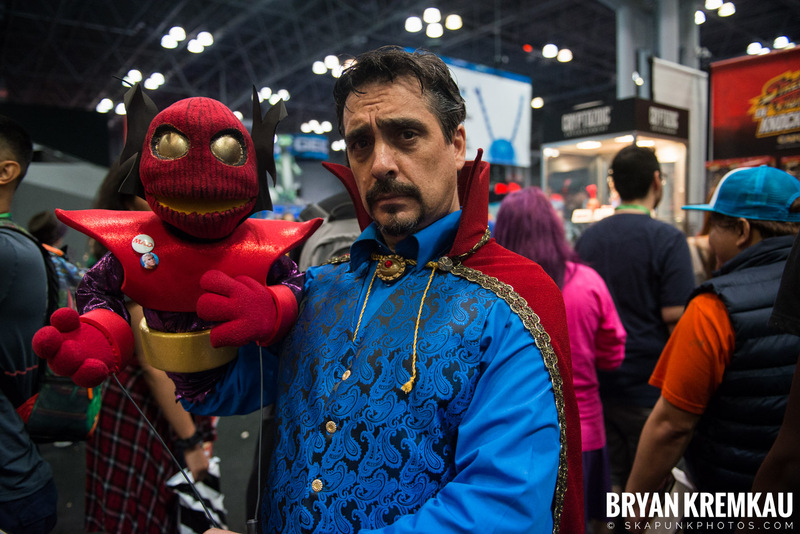 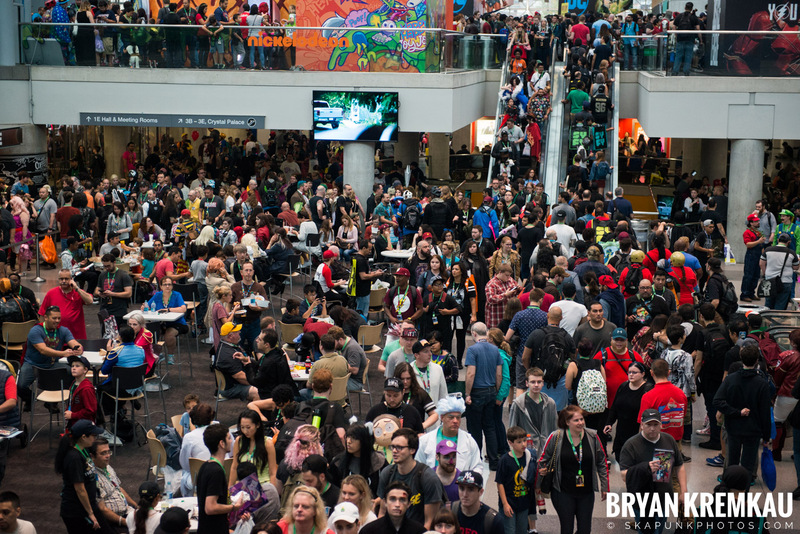 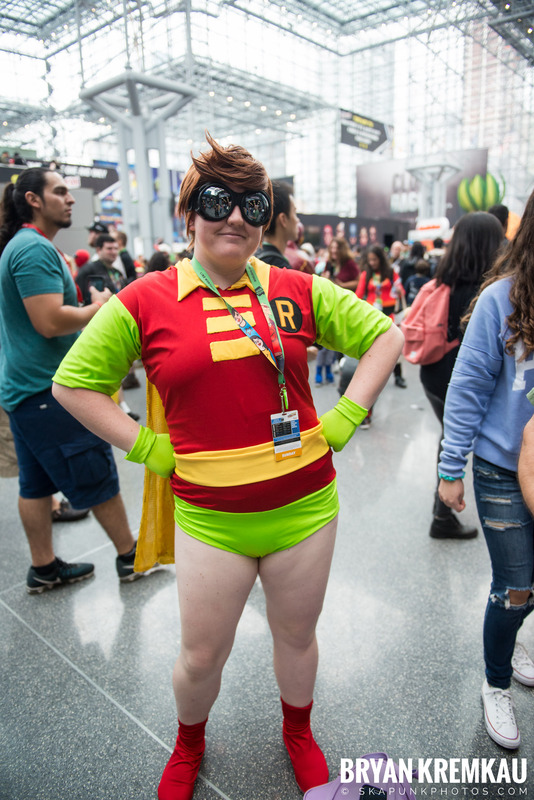 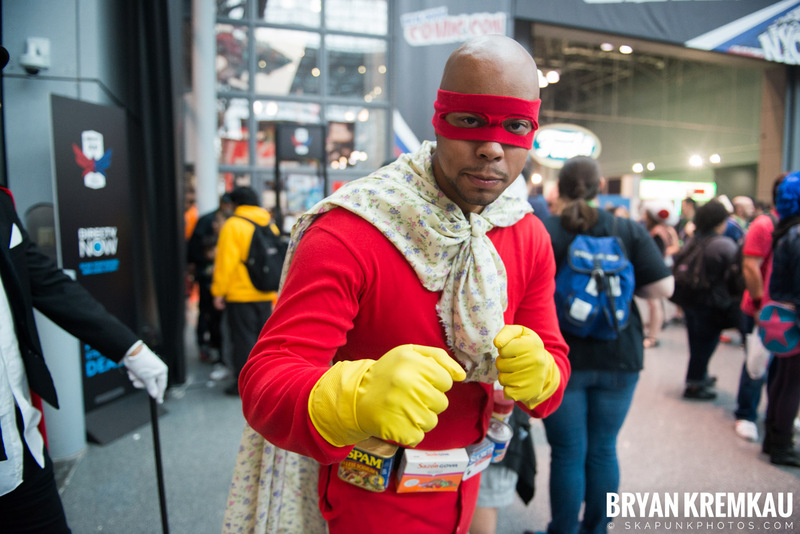 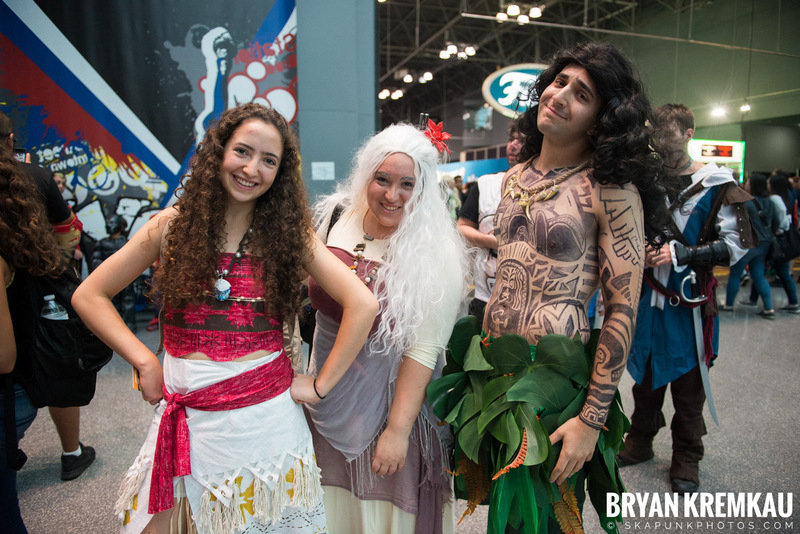 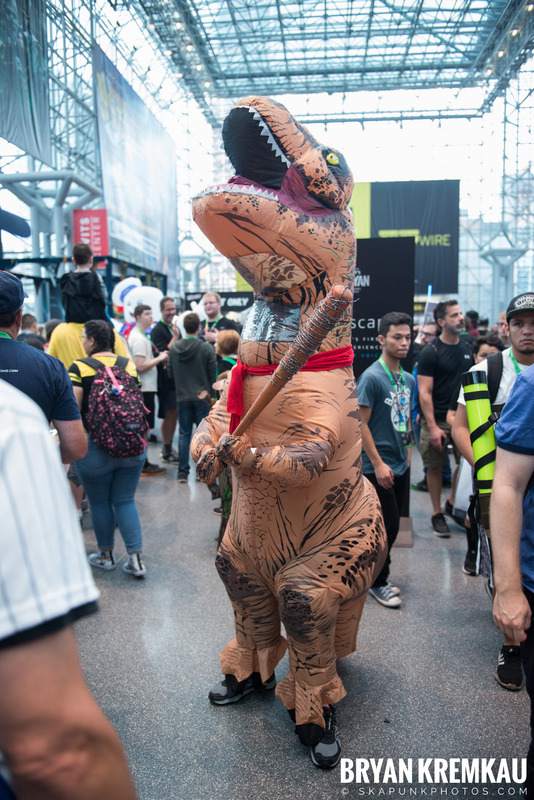 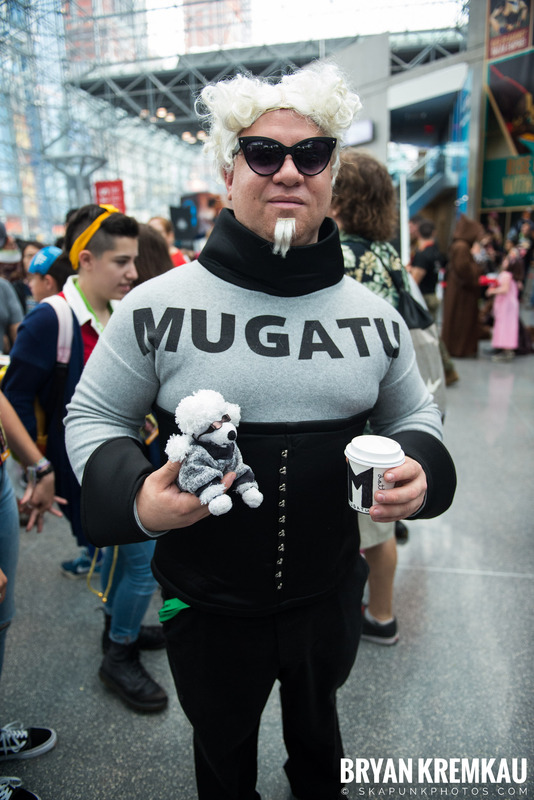 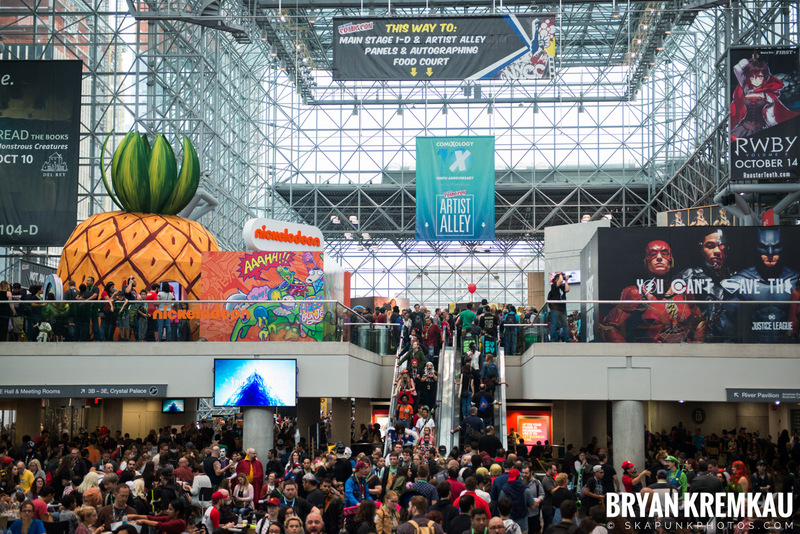 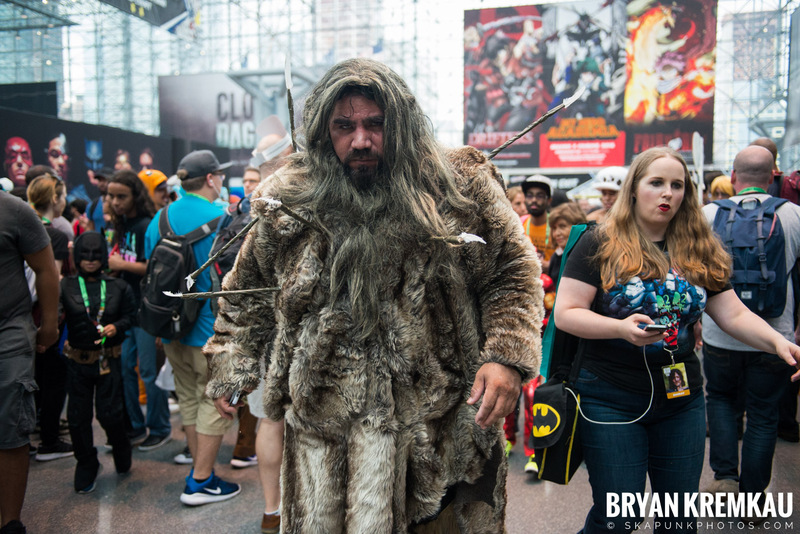 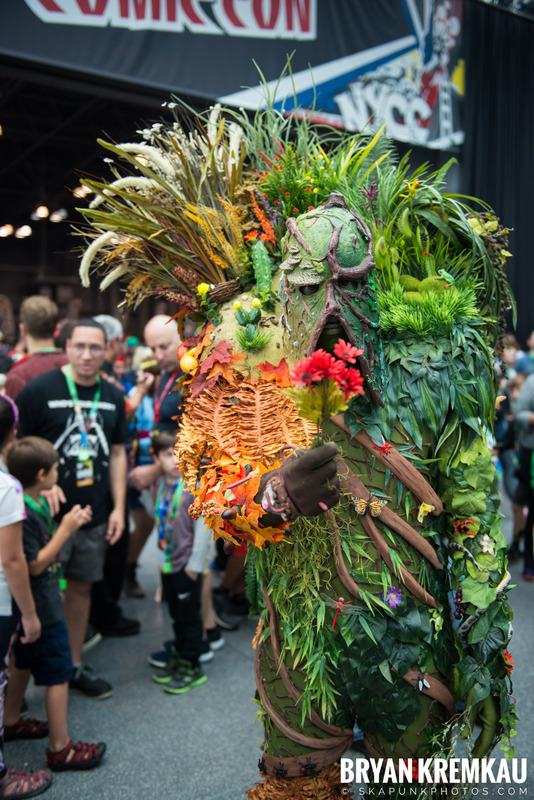 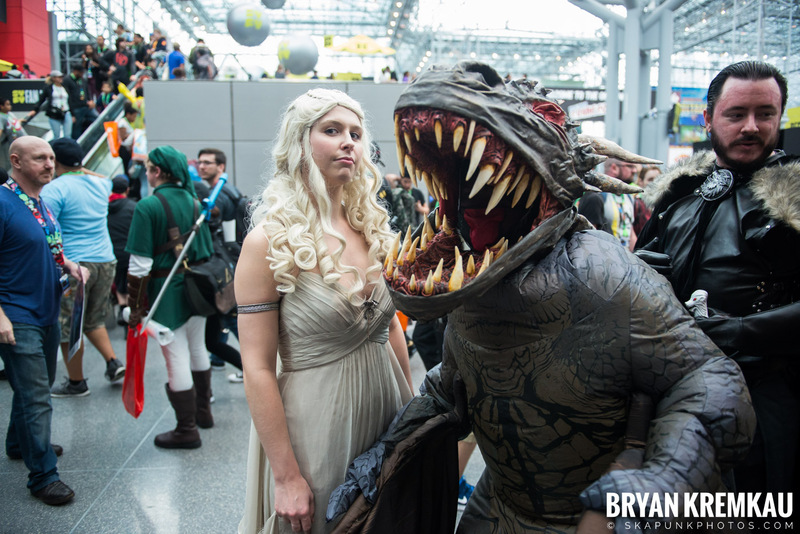 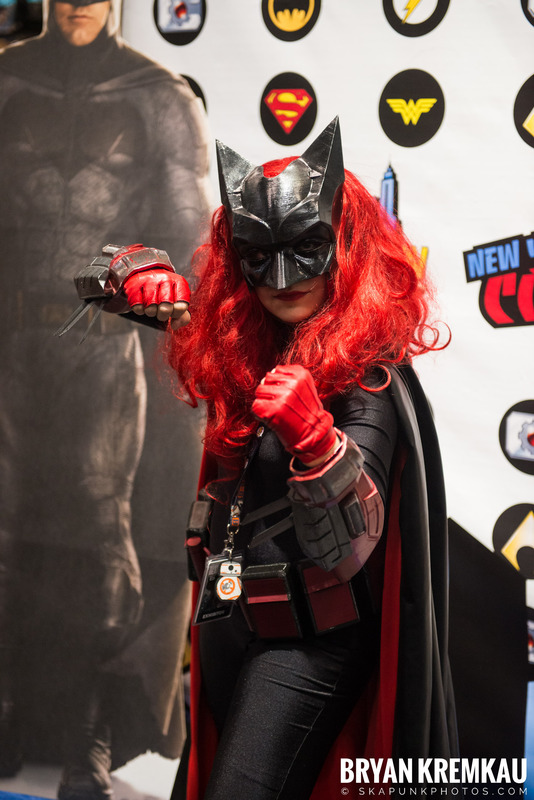 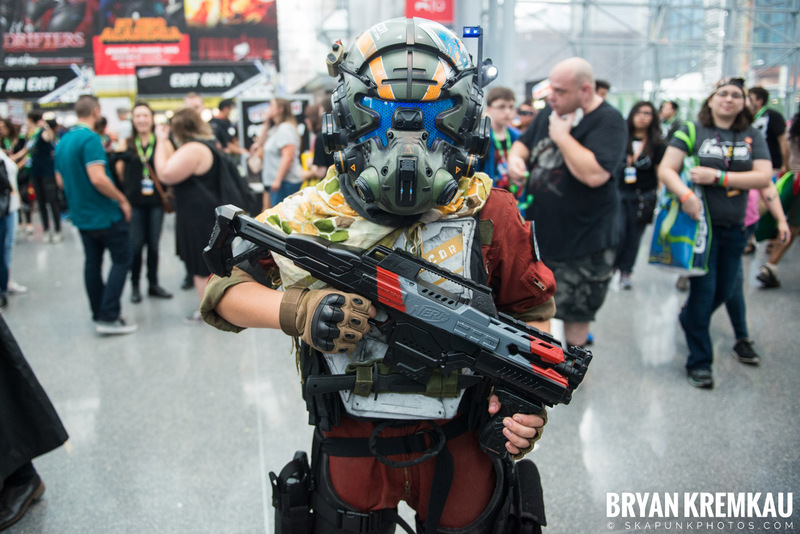 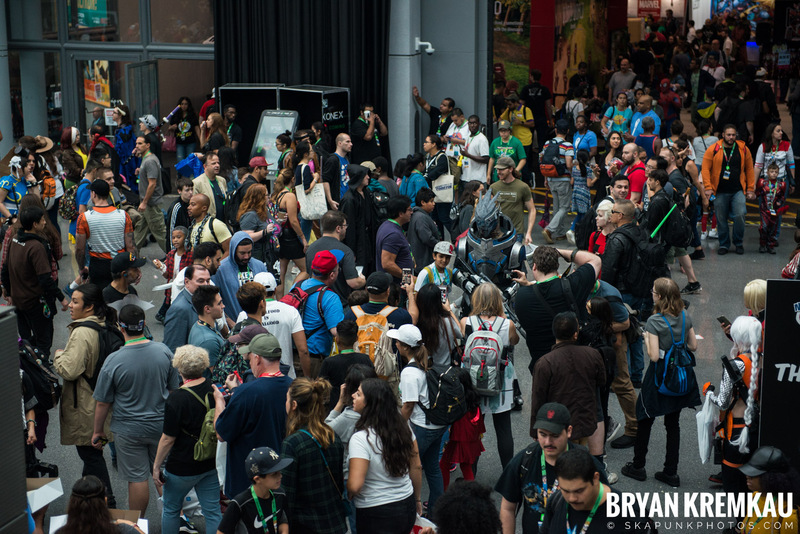 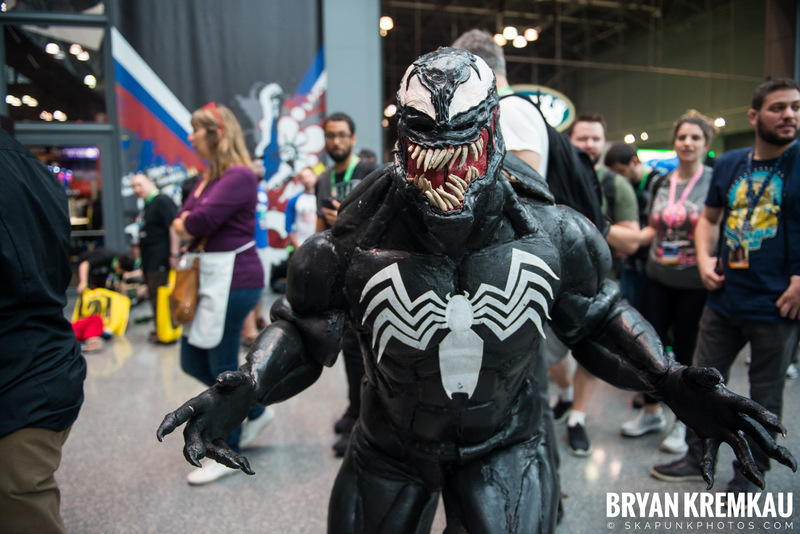 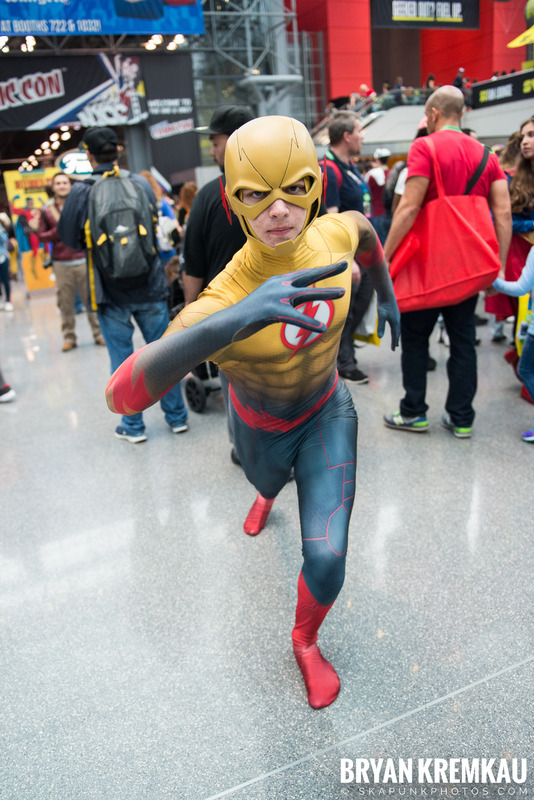 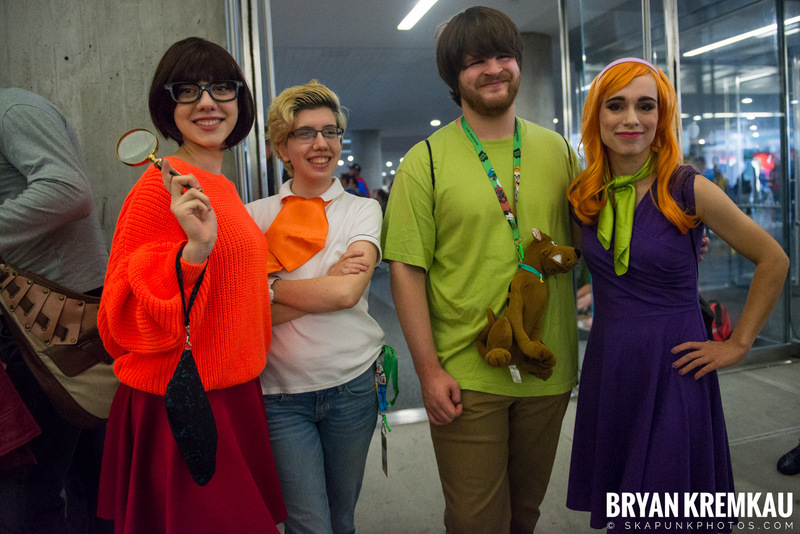 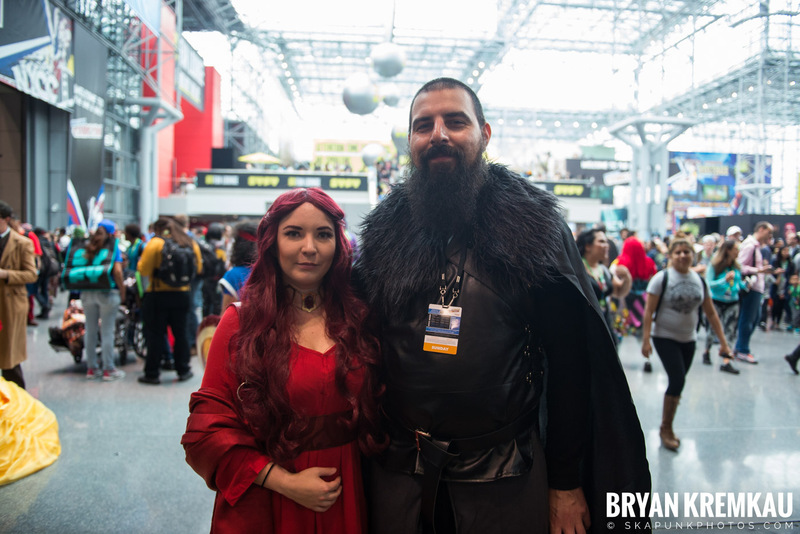 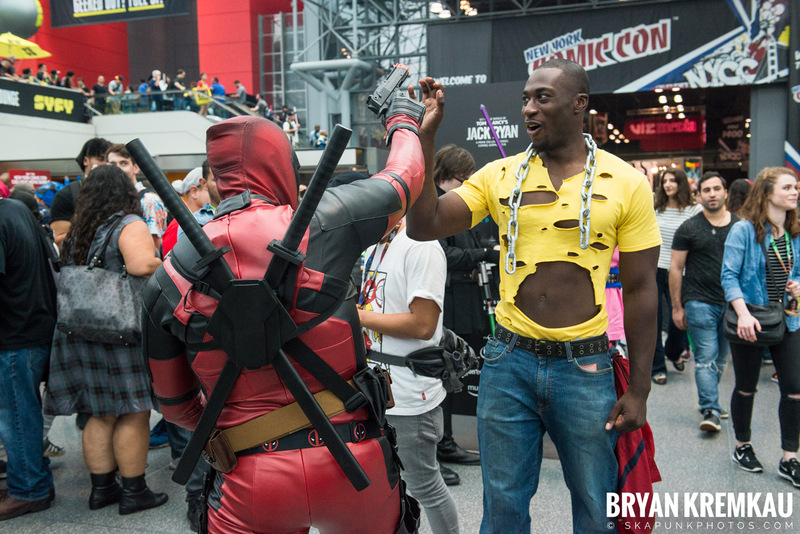 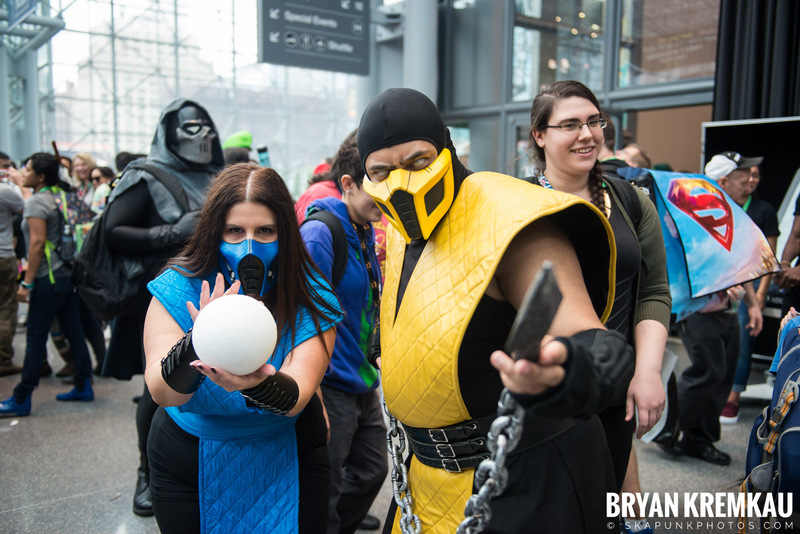 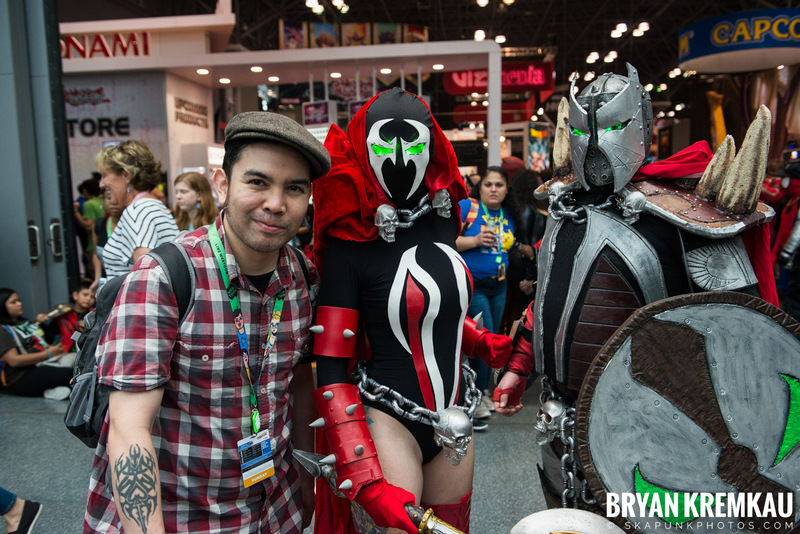 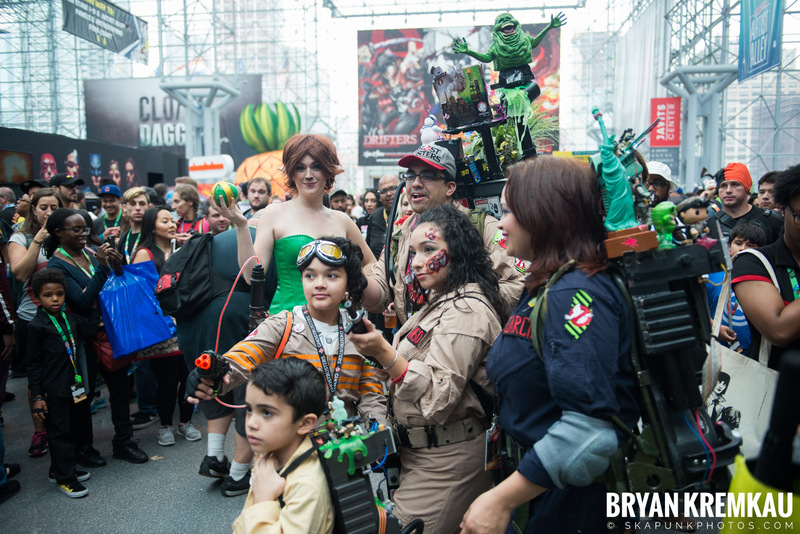 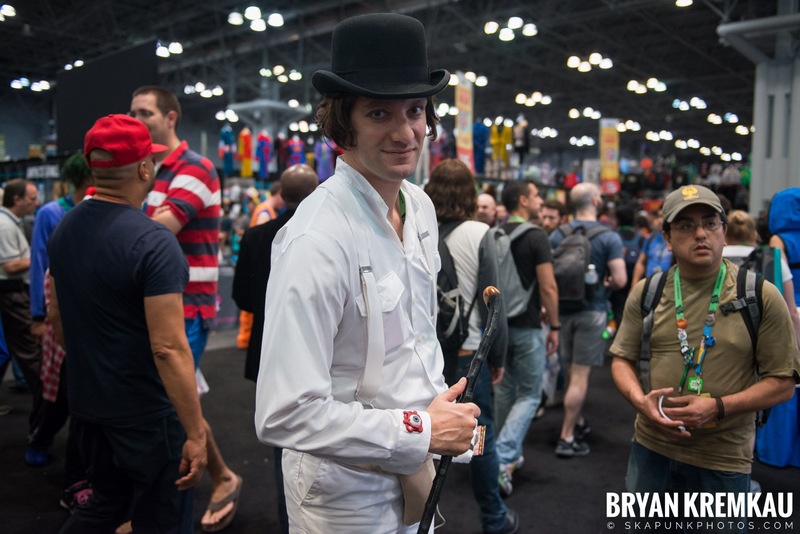 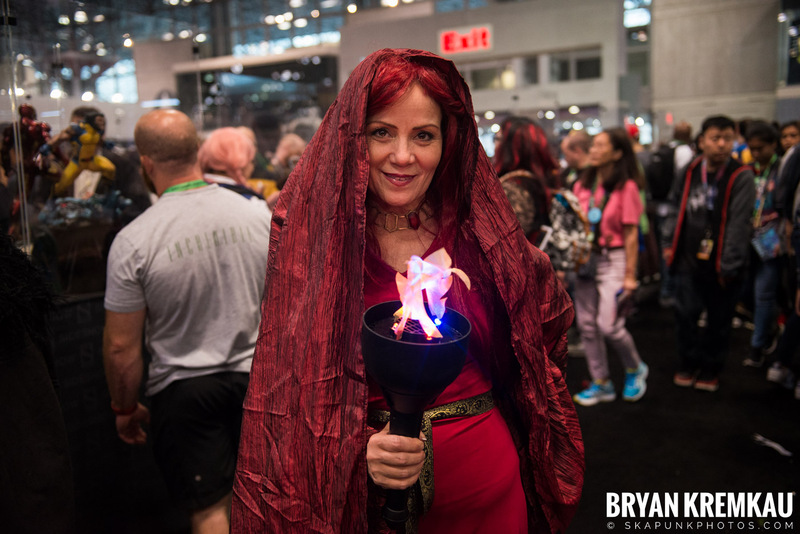 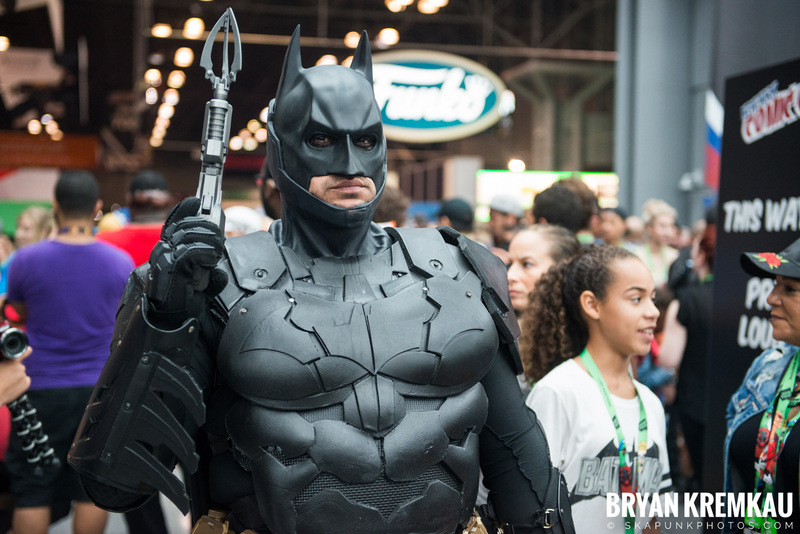 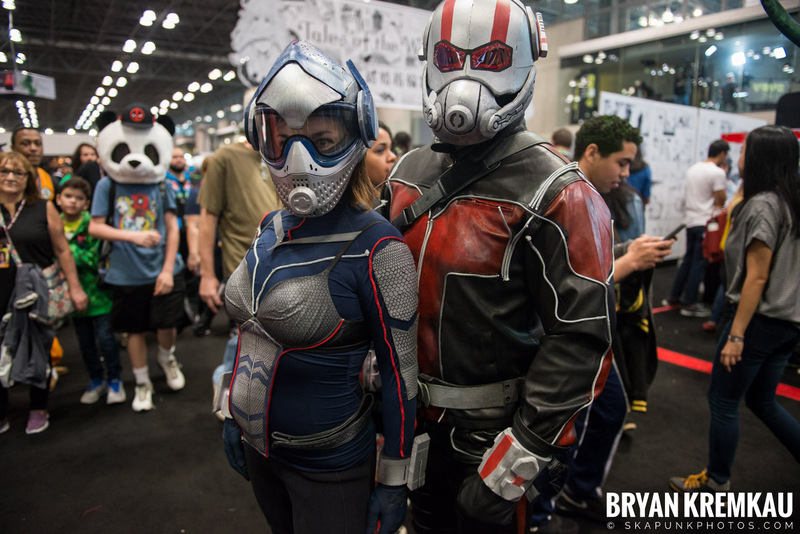 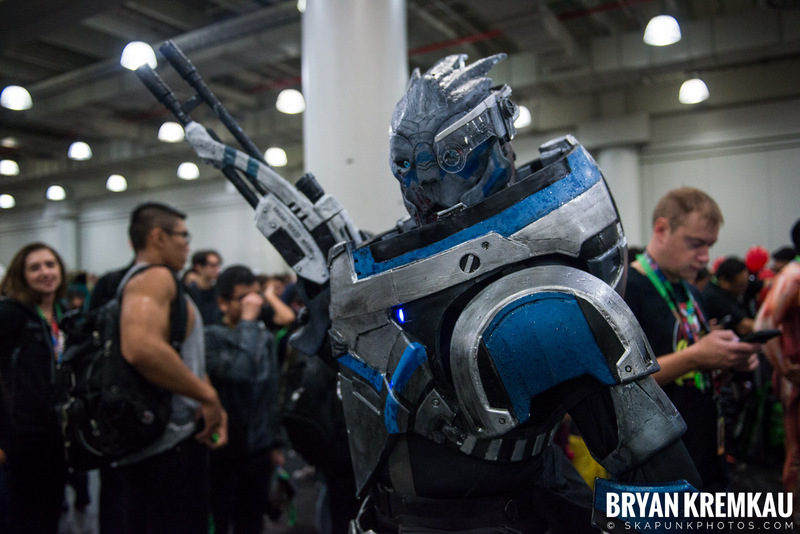 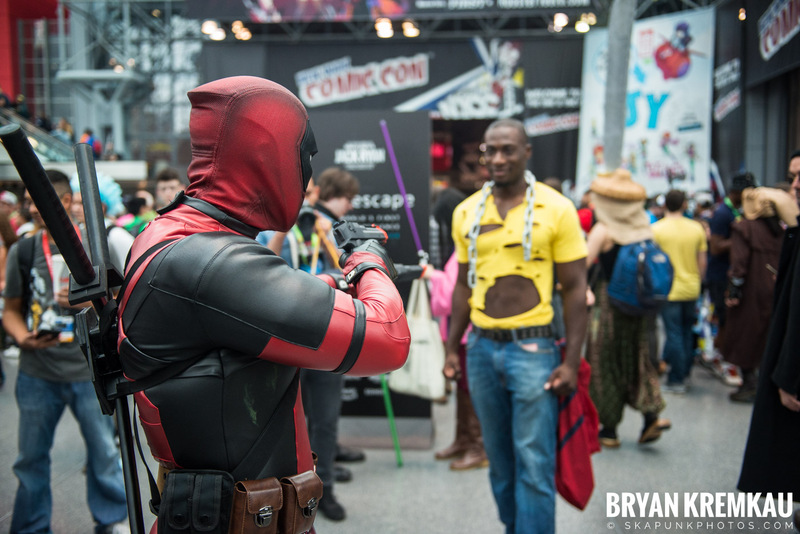 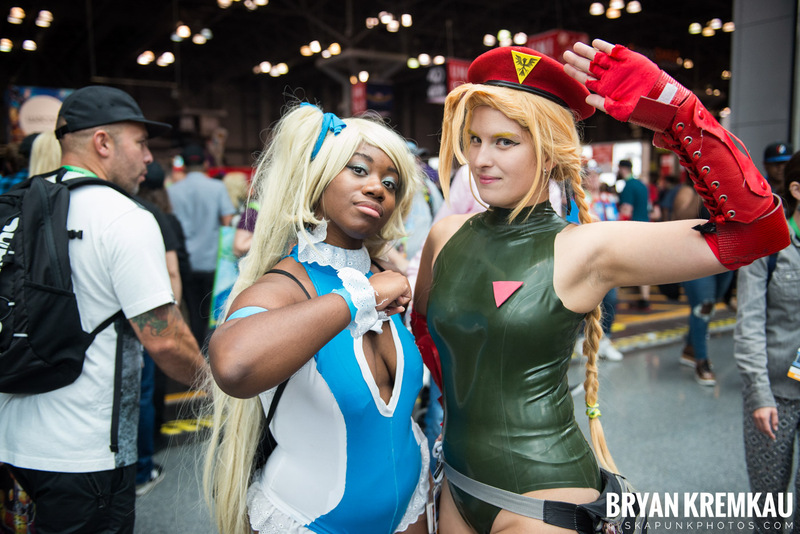 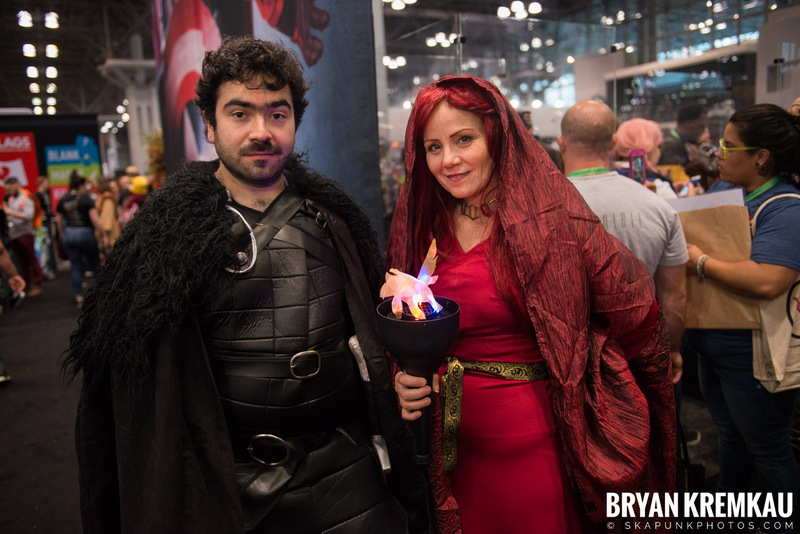 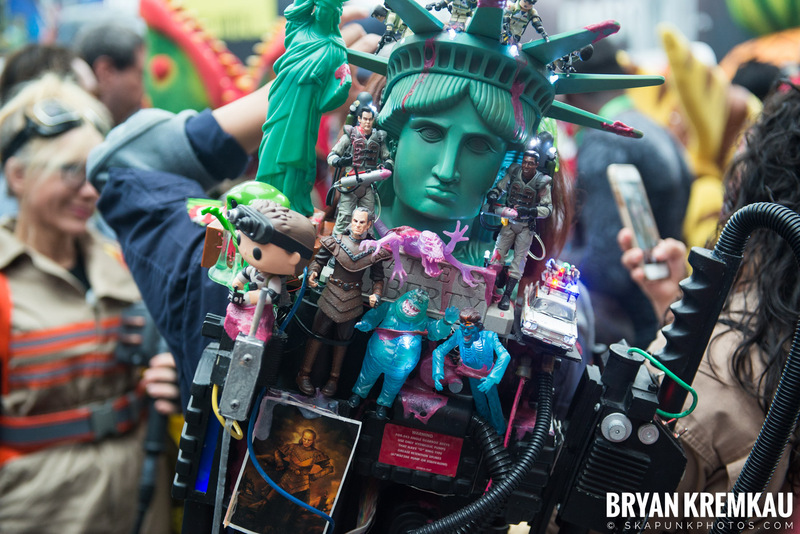 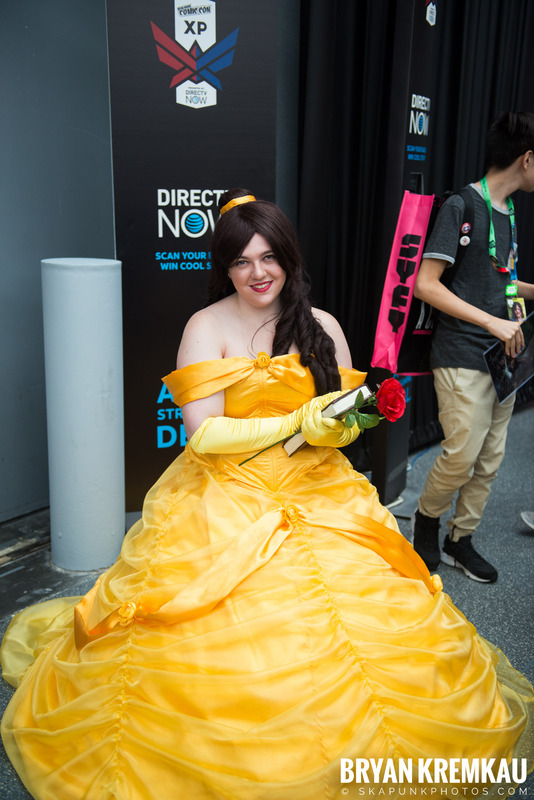 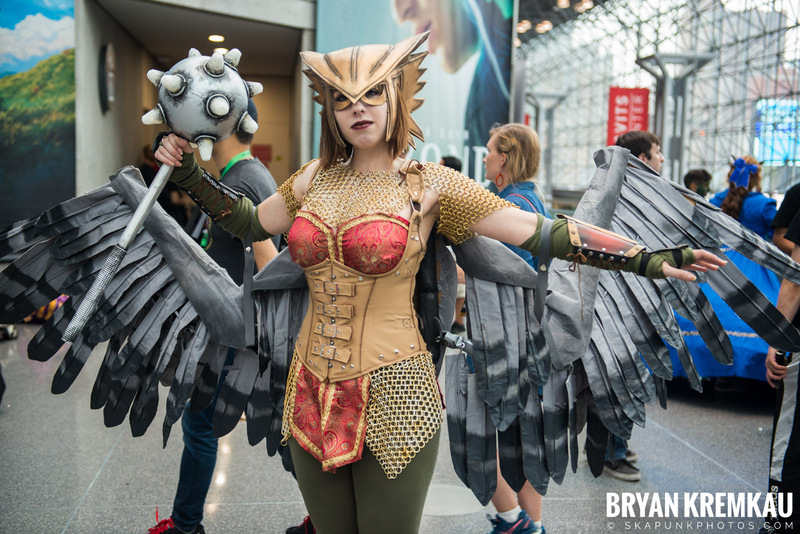 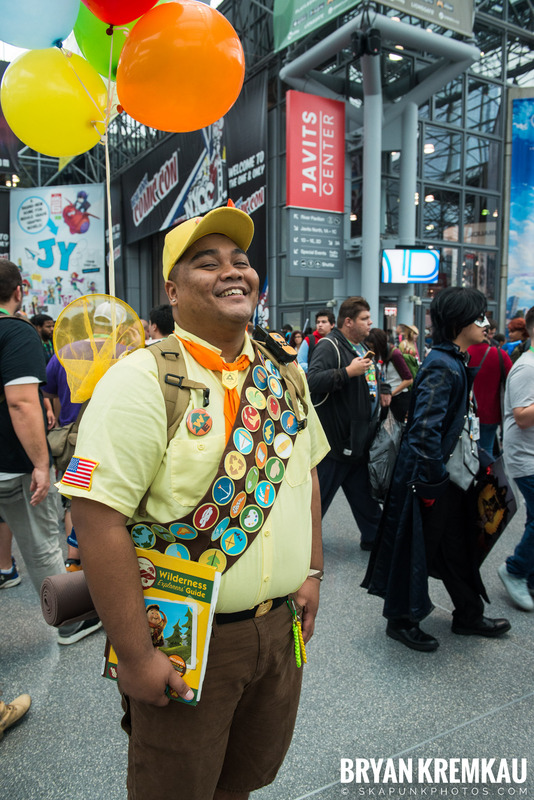 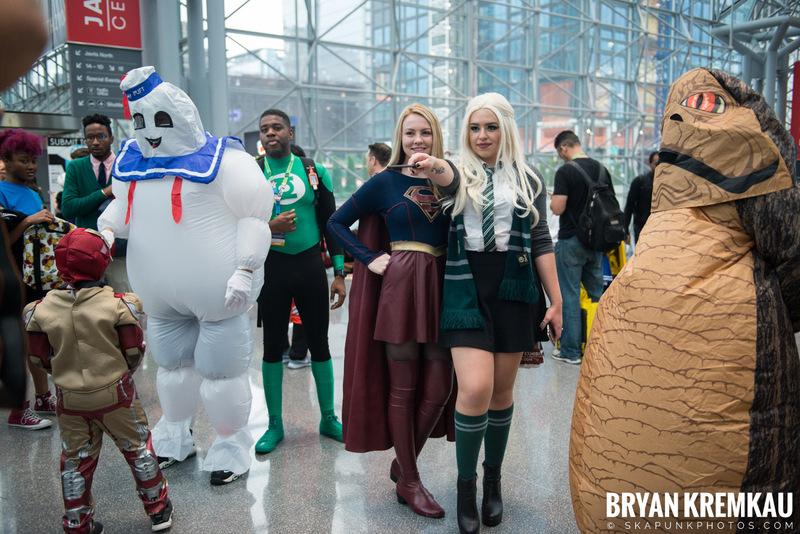 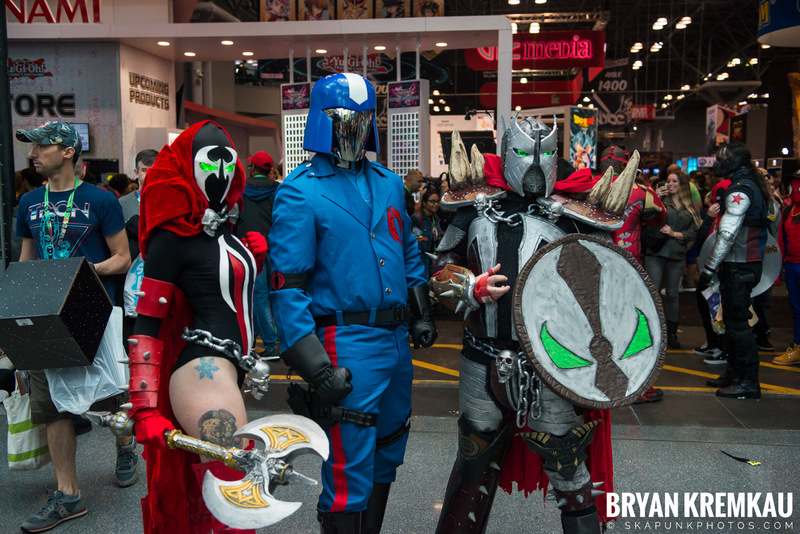 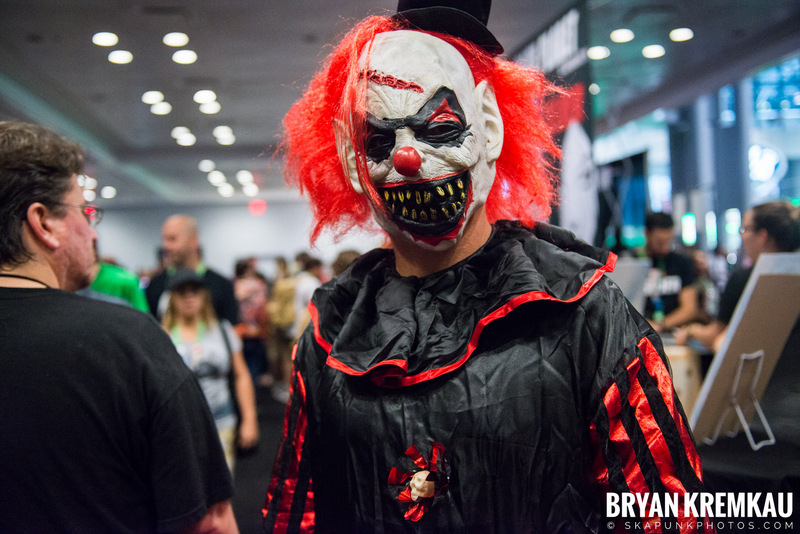 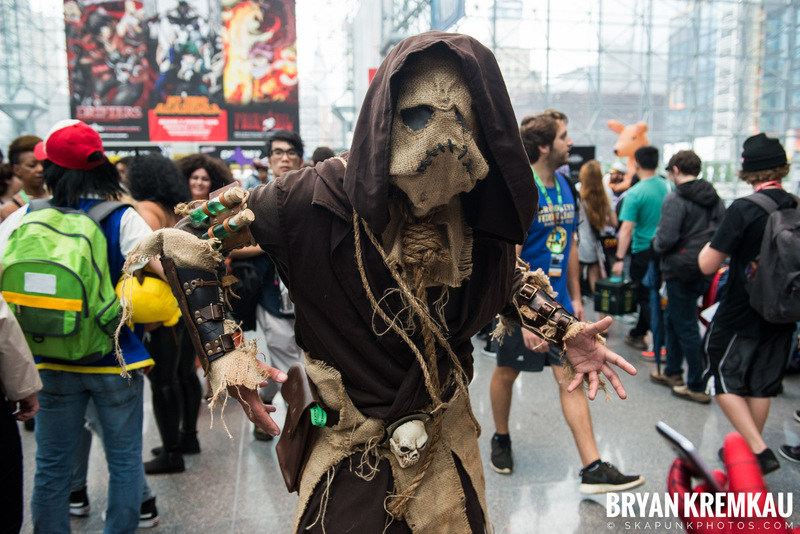 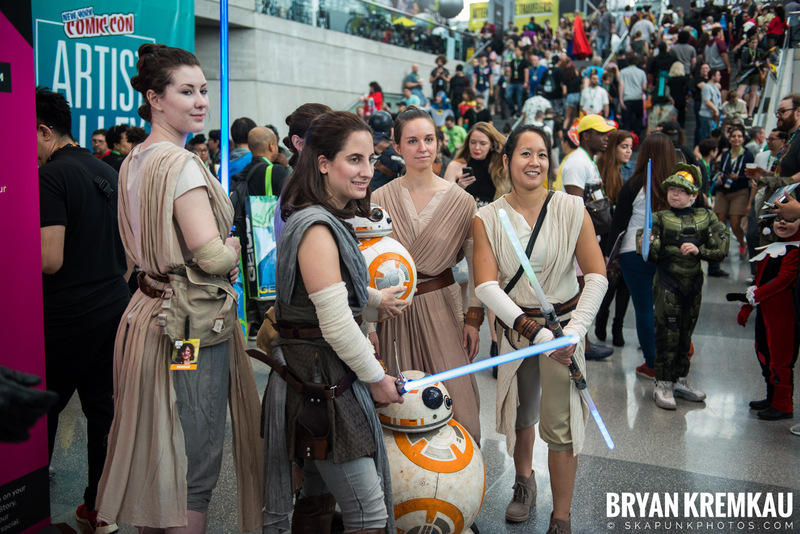 Over the few days I shot NYCC, the costumes were just so awesome. 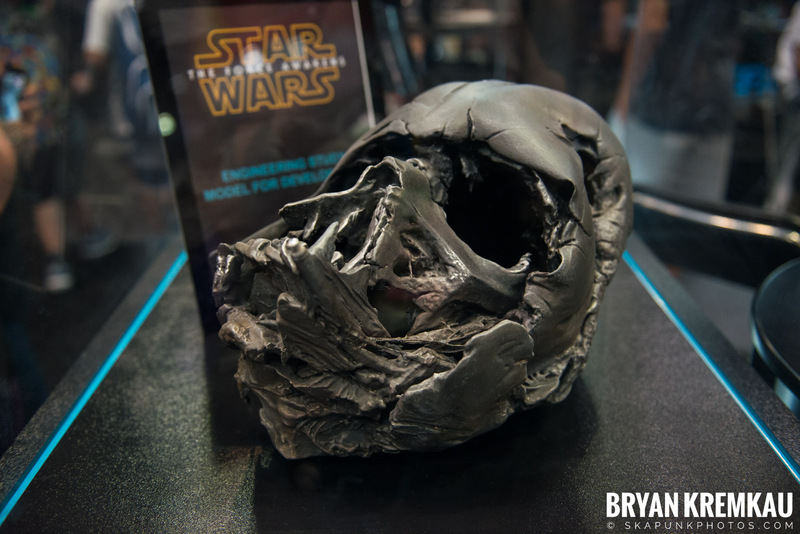 Can’t imagine the time, effort and money that goes into making some of these. 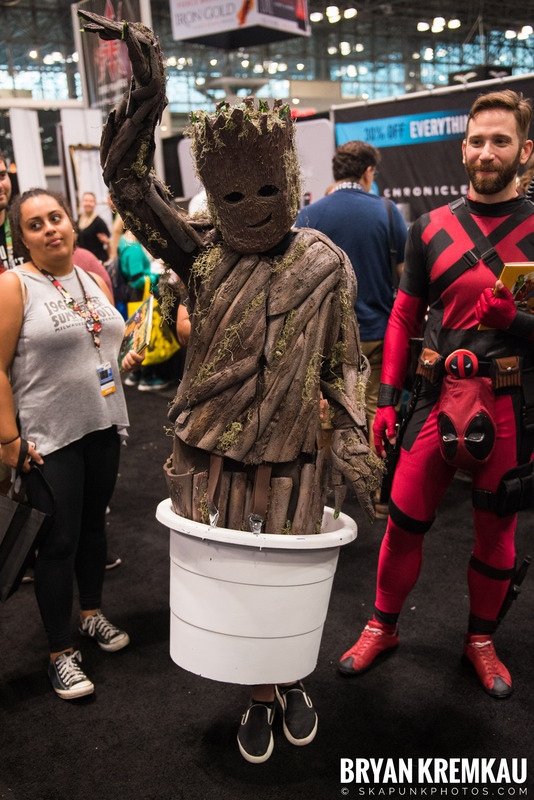 The Dancing Groot costume was great, I was happy to see a MacGruber costume, and completely shocked to see someone as Blankman! 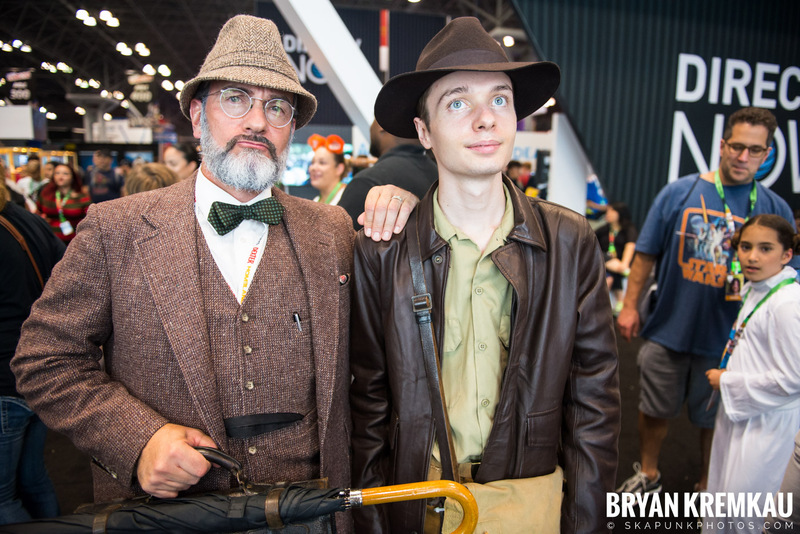 The guy that looks like Sean Connery in Indiana Jones and the Last Crusade was an easy costume but man, does he look like Henry Jones, Sr.! 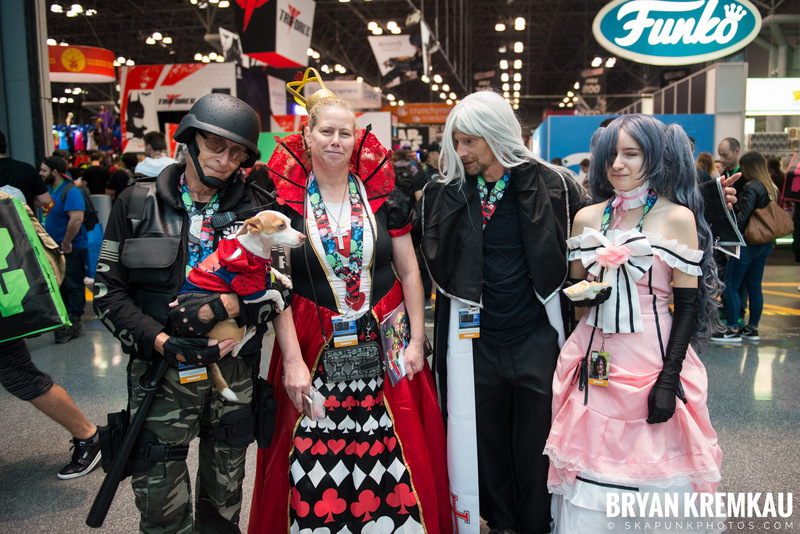 For the day, I shot with the 24-70mm f2.8 lens and maybe took out the 14-24mm f2.8 lens once when I was trying to show you all the people at the queue hall. 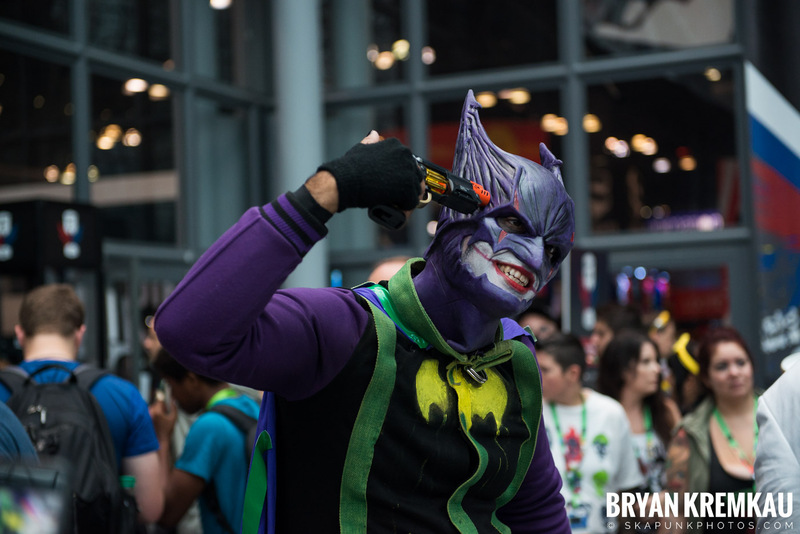 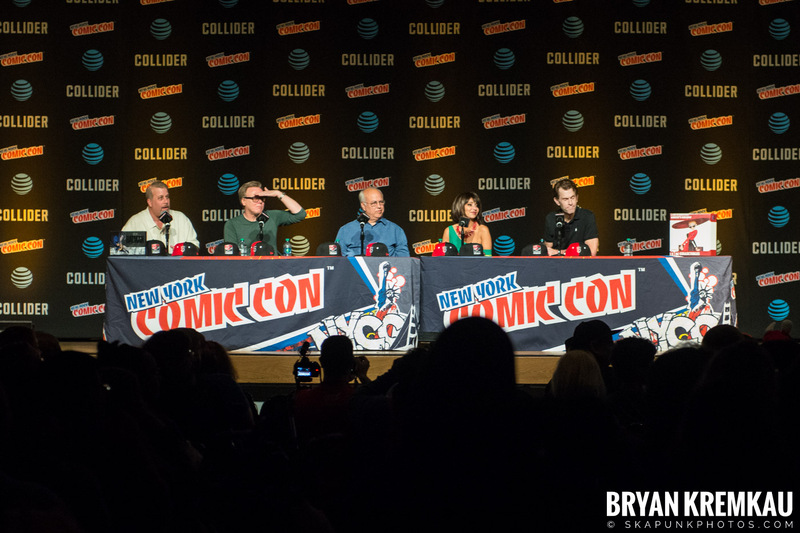 I wish I had my telephoto lens for the Batman panel, so I could get some close-ups but I’ll bring it next year if there are worthy panels to see. 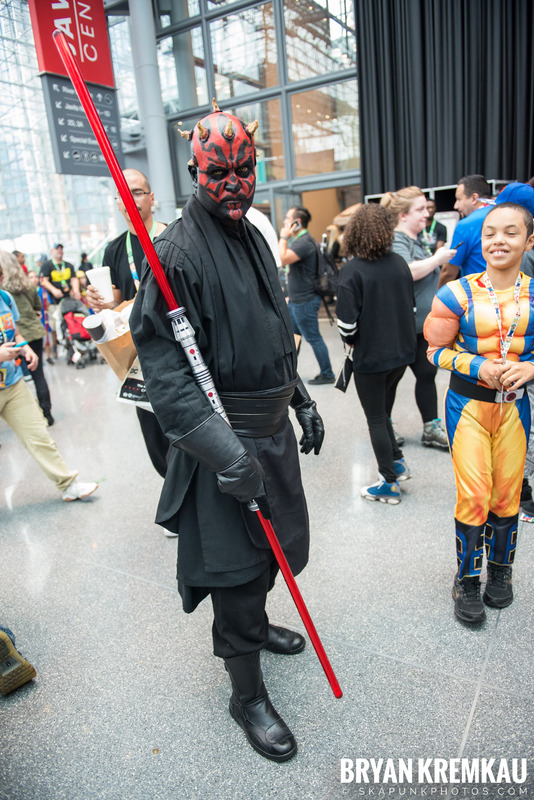 I didn’t have my neck to be so red with my camera bag so why I kept the telephoto lens home. 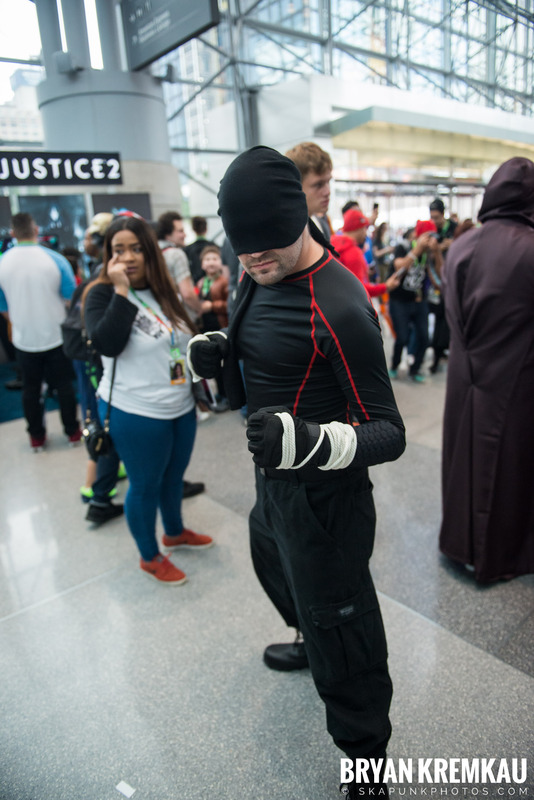 I really didn’t need multiple lenses though, at least not for what I was doing.